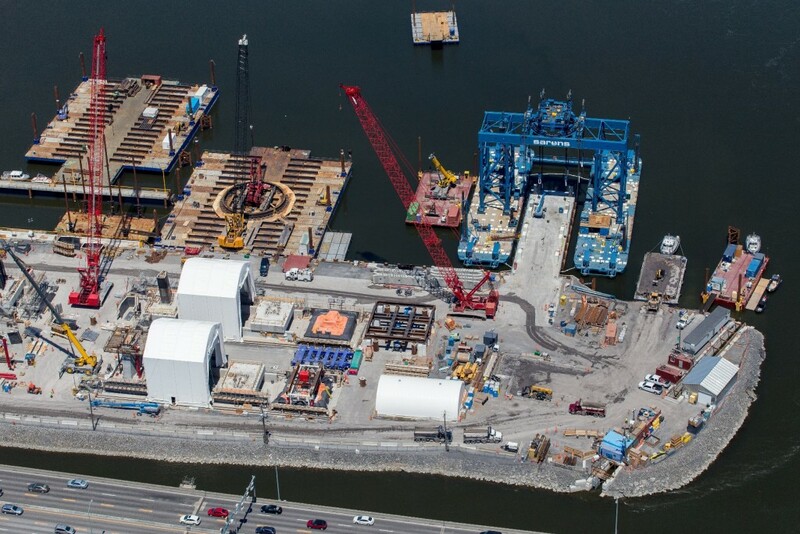 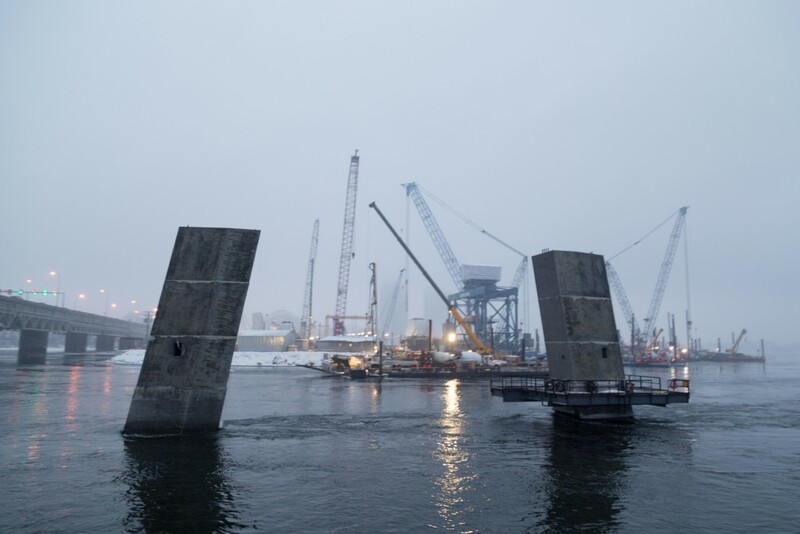 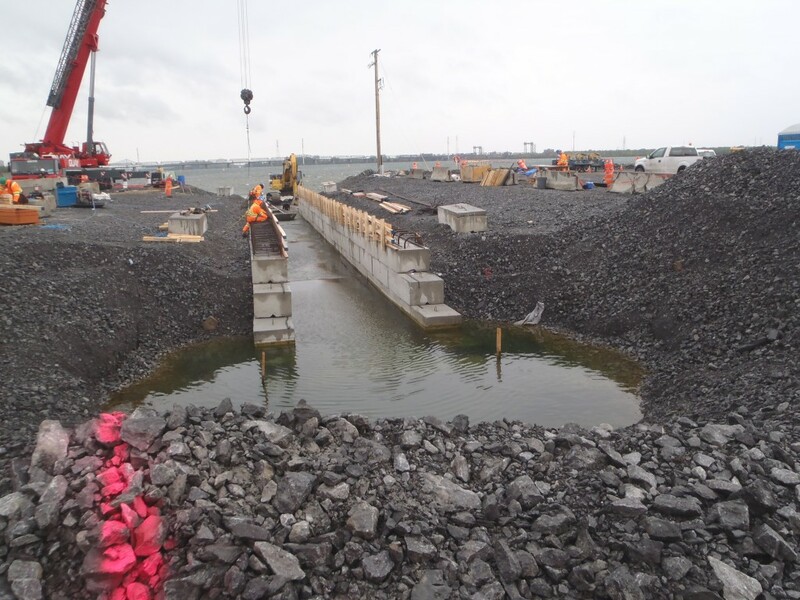 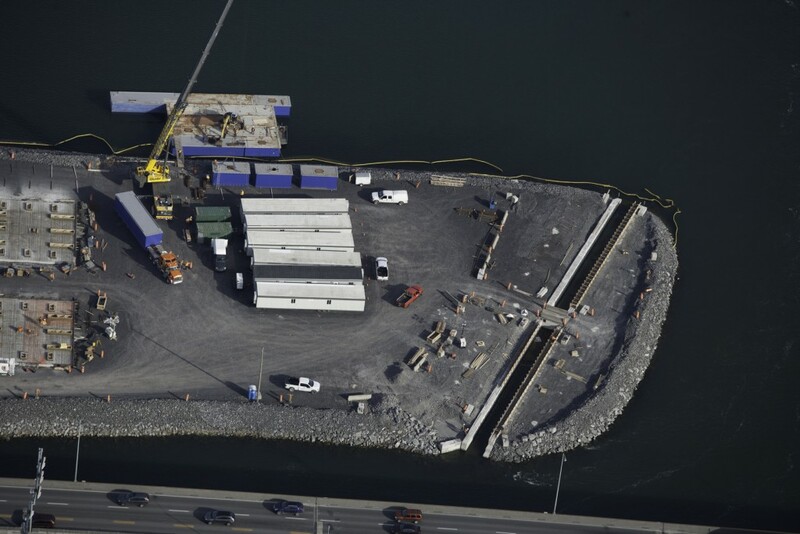 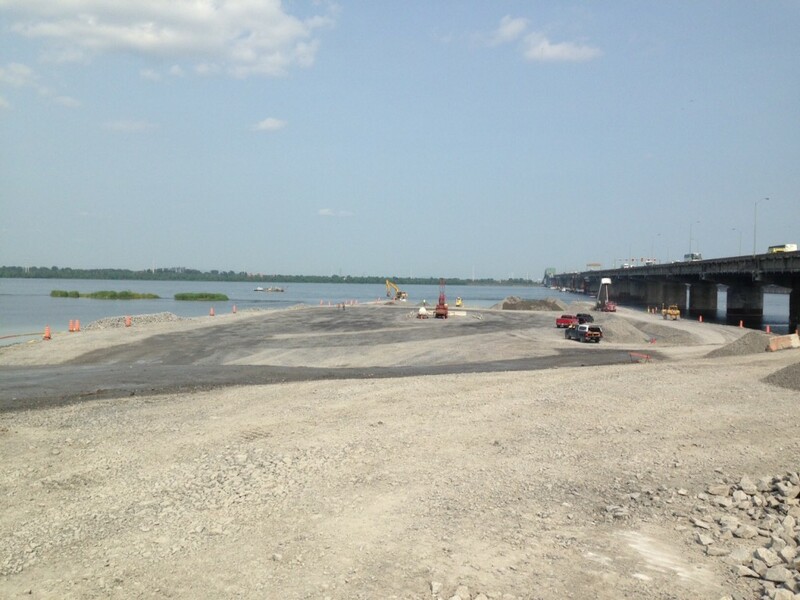 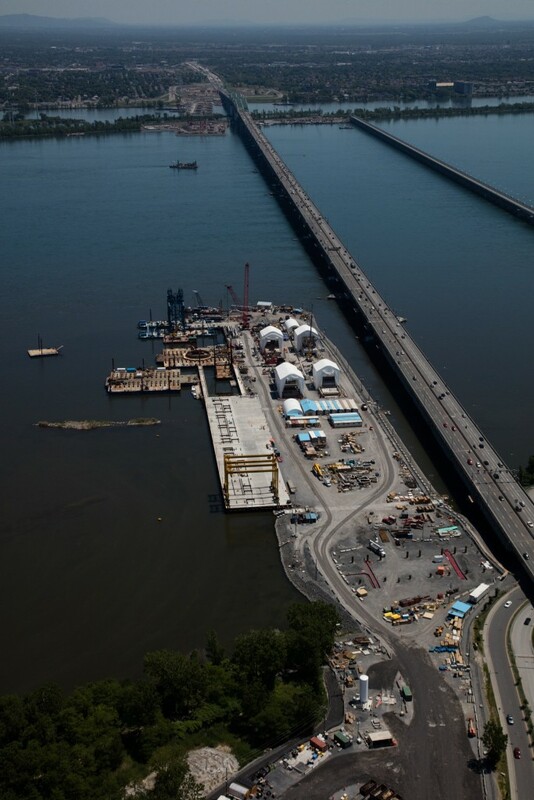 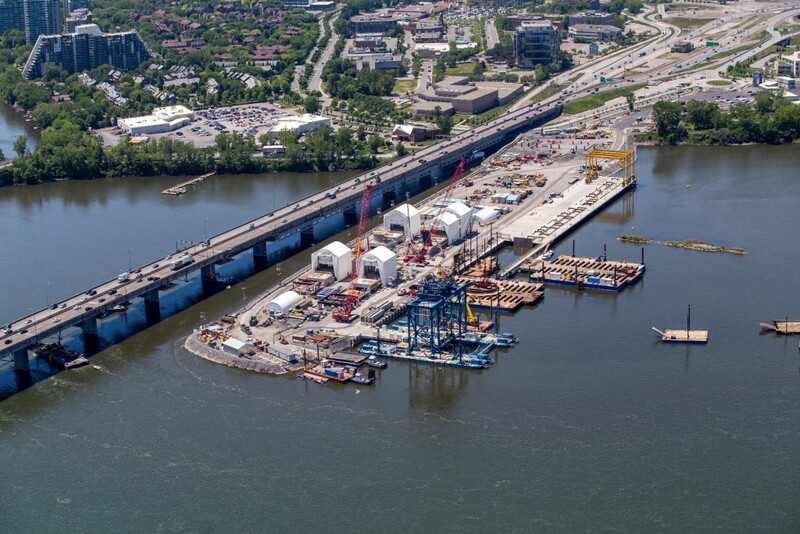 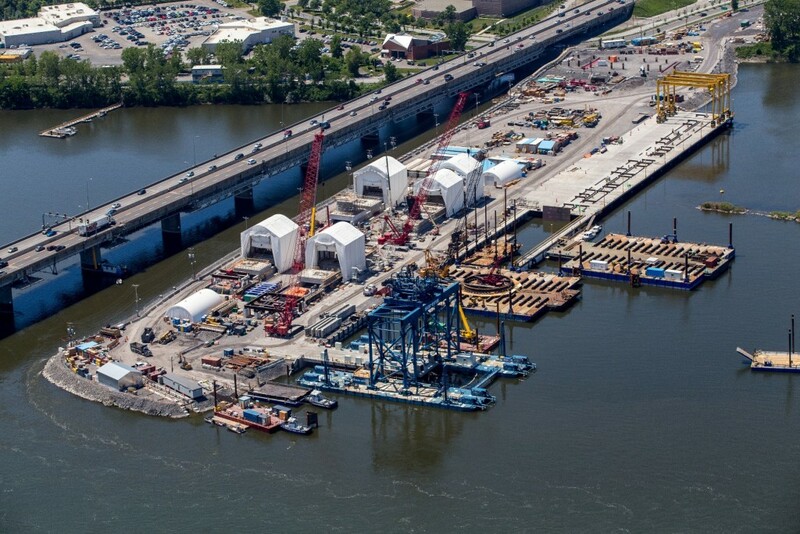 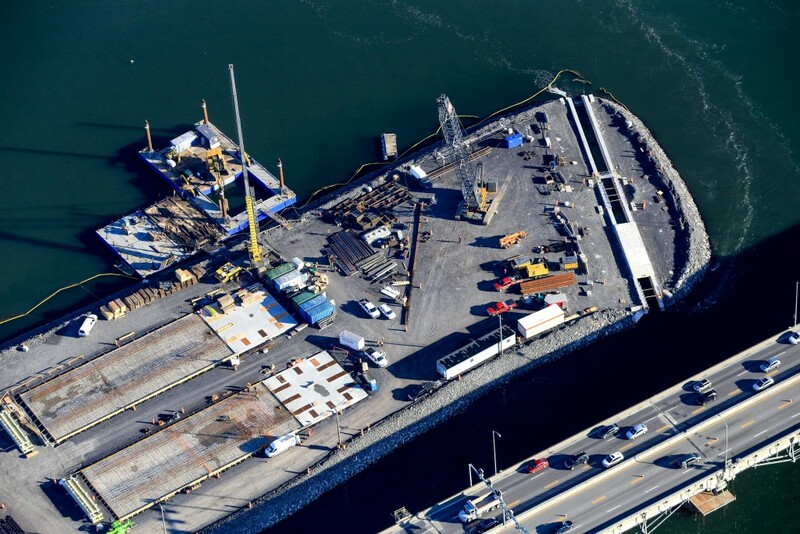 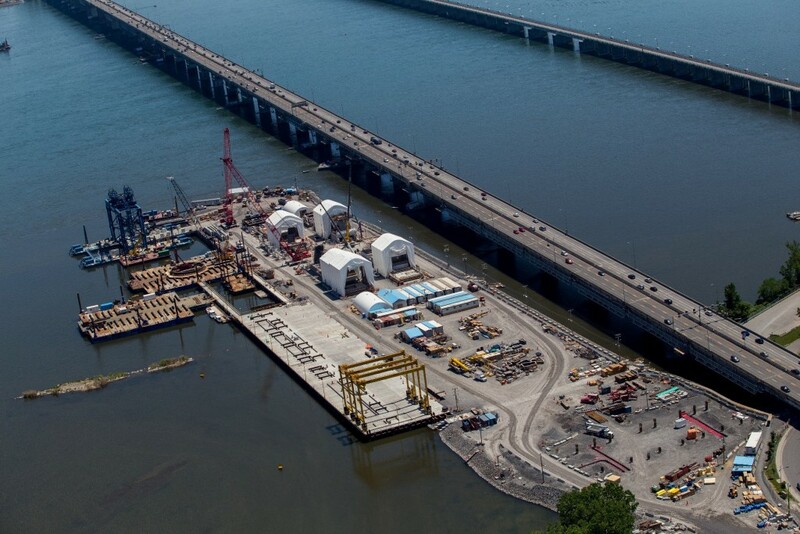 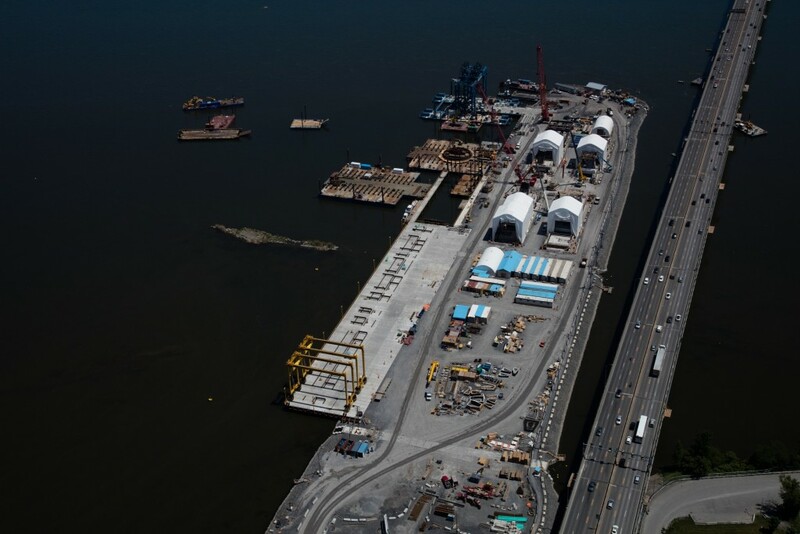 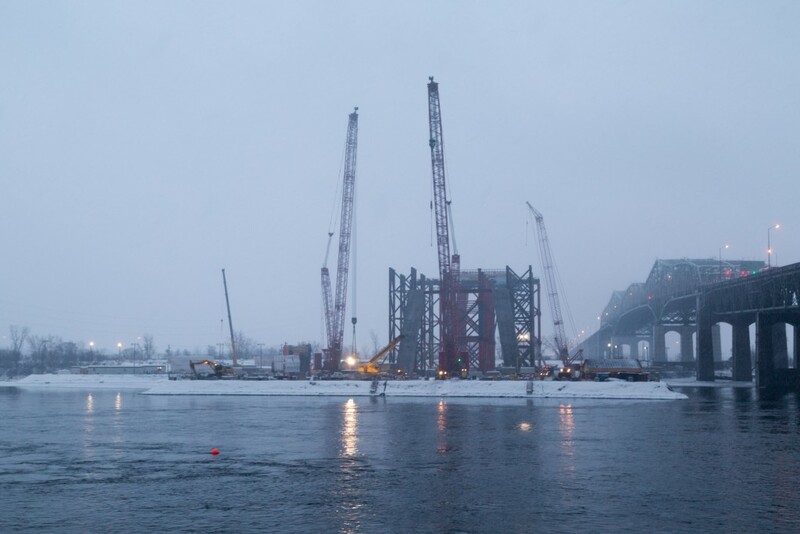 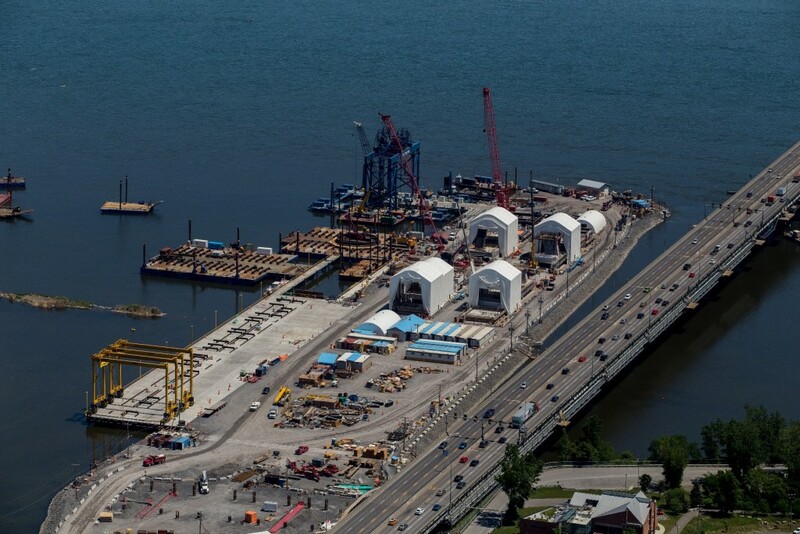 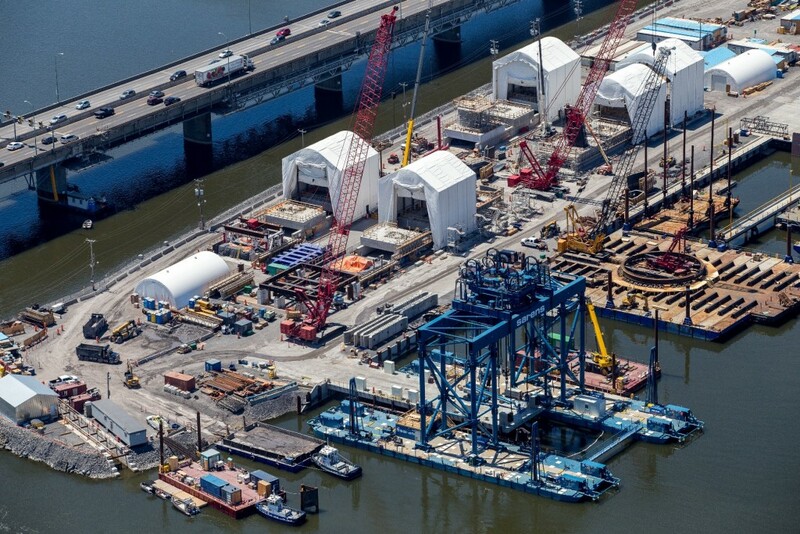 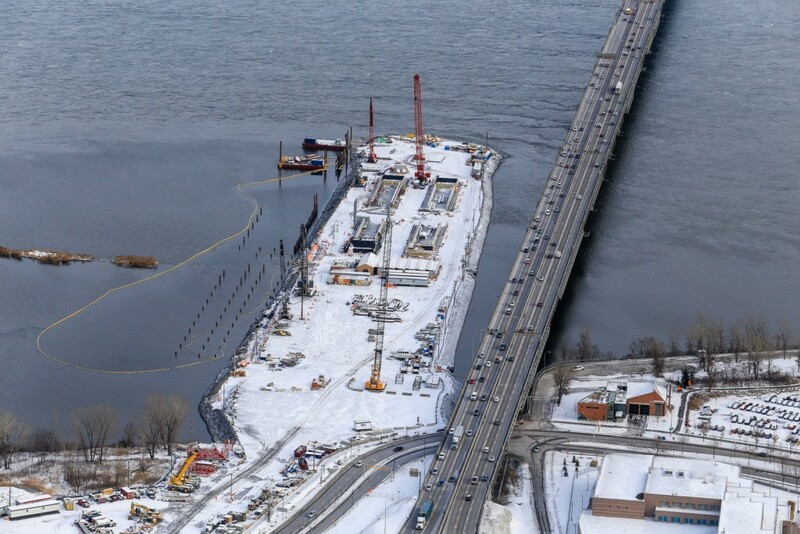 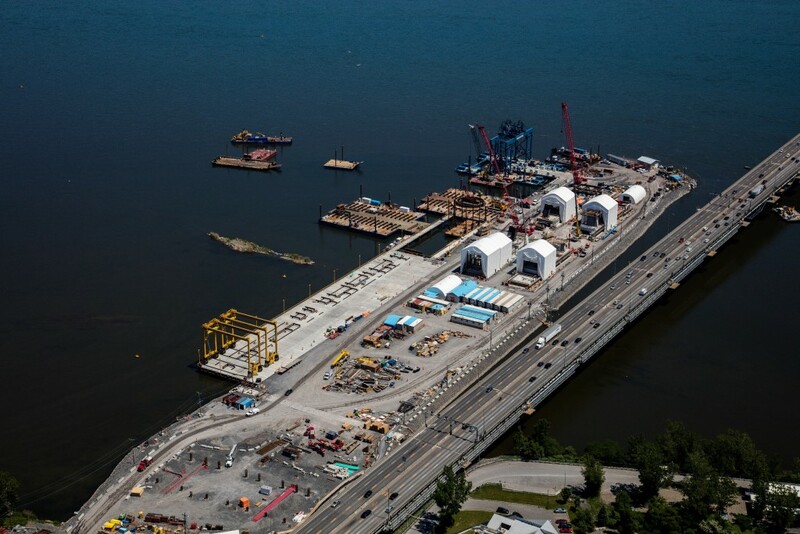 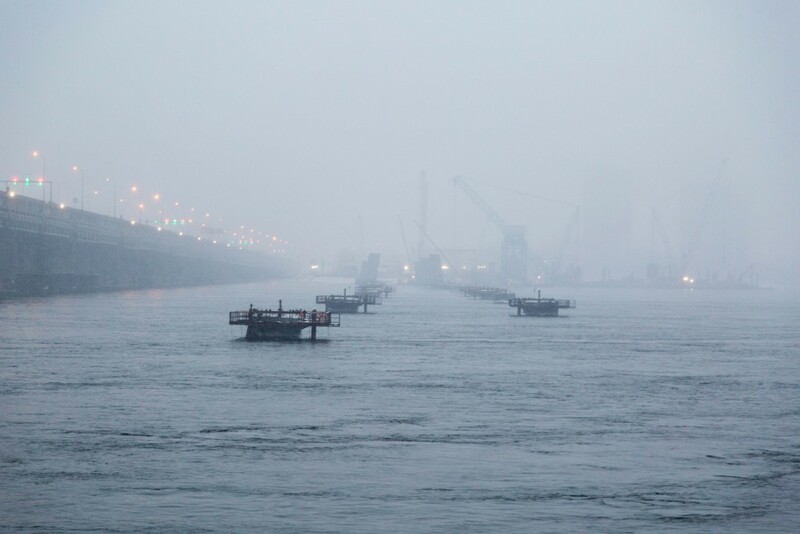 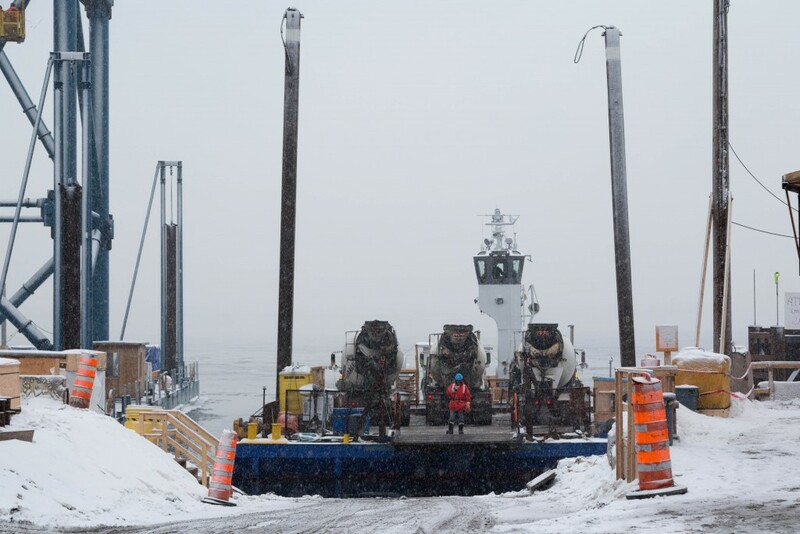 This massive jetty is the main access route to the new Champlain Bridge construction site. 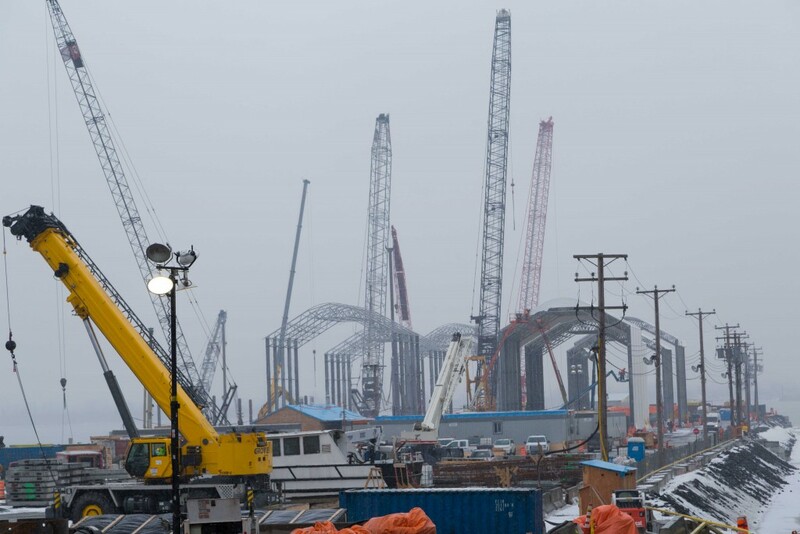 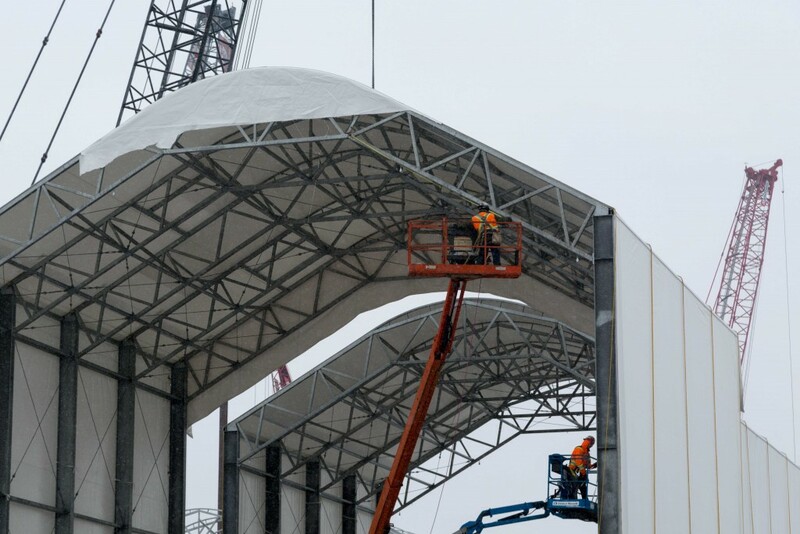 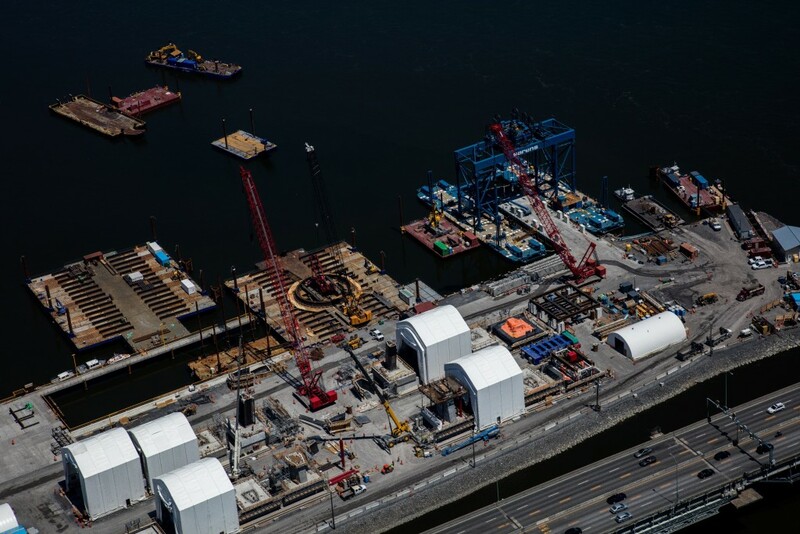 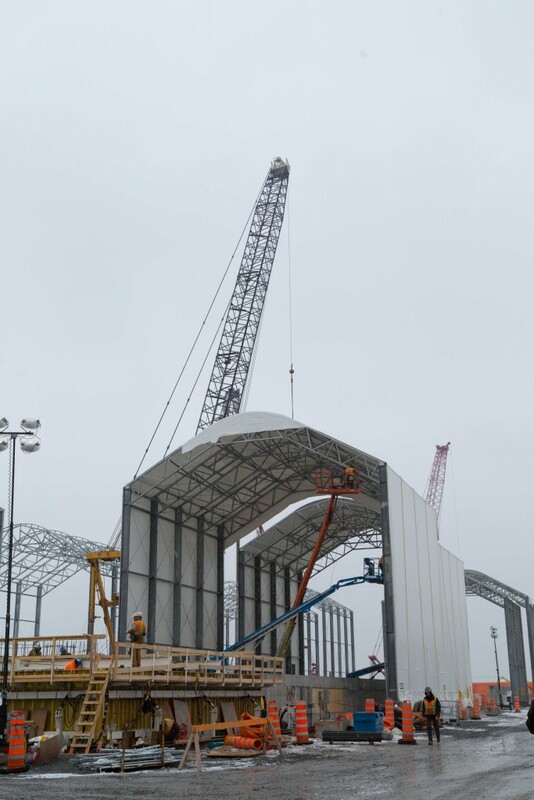 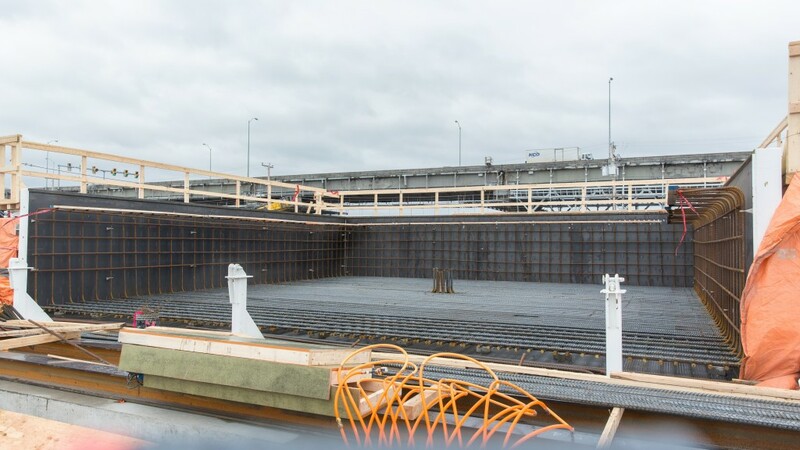 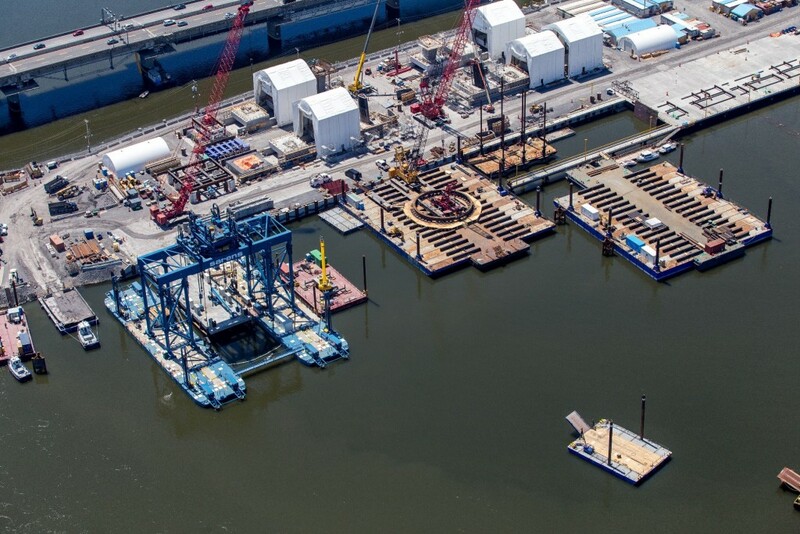 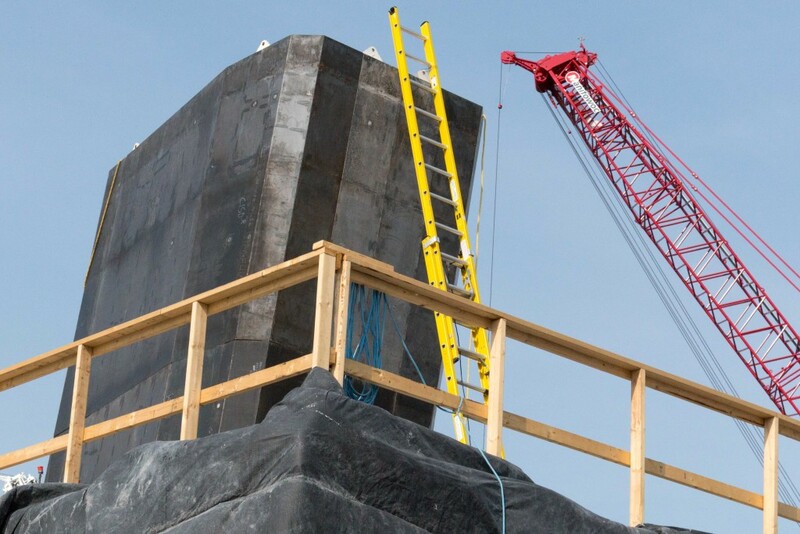 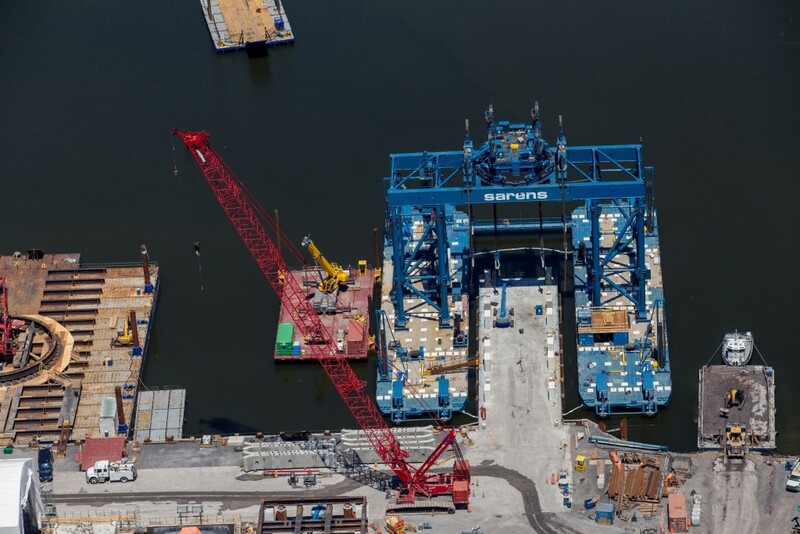 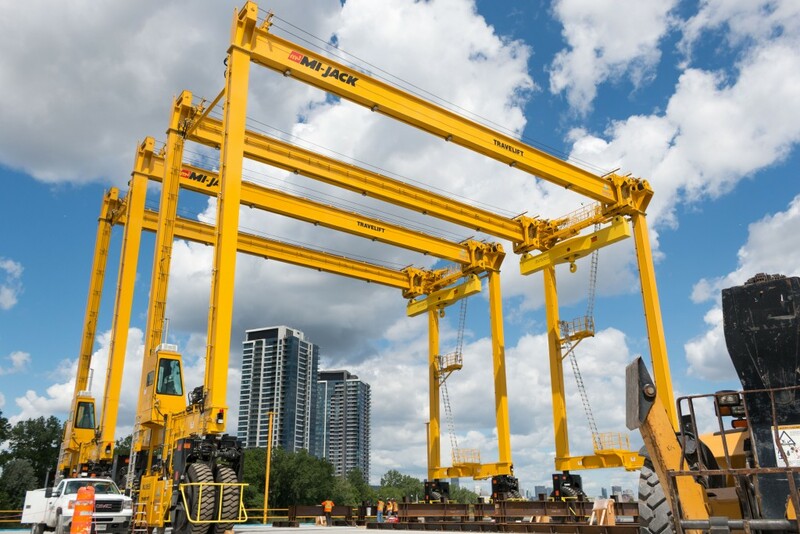 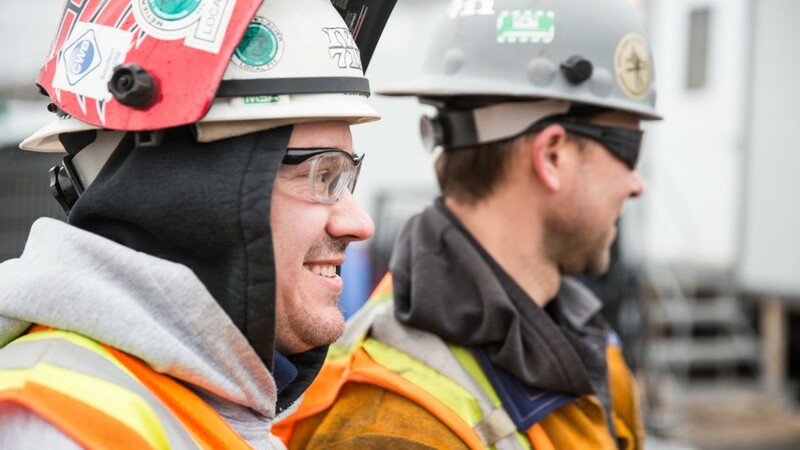 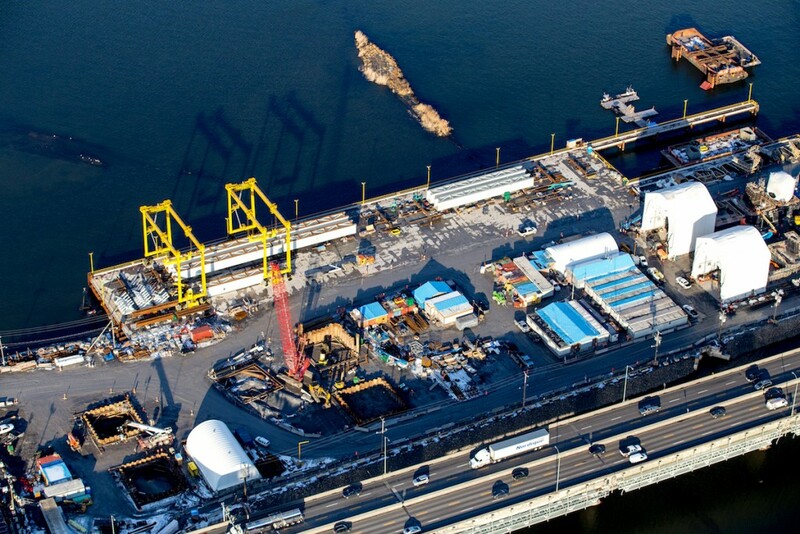 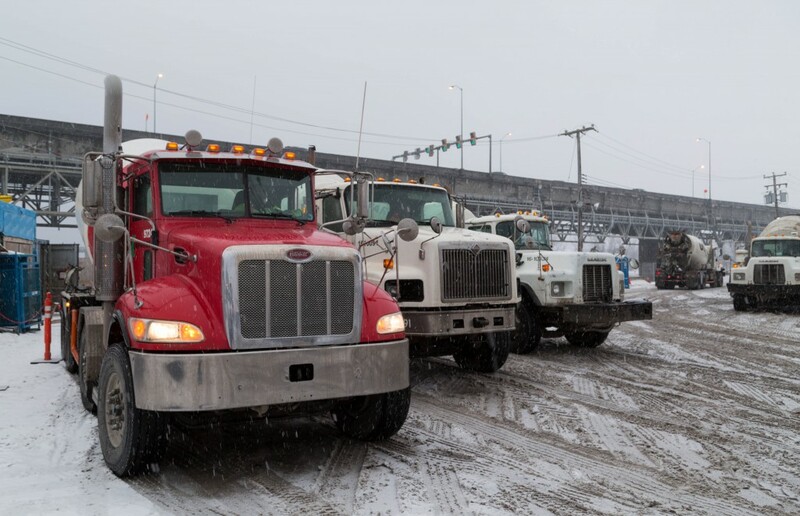 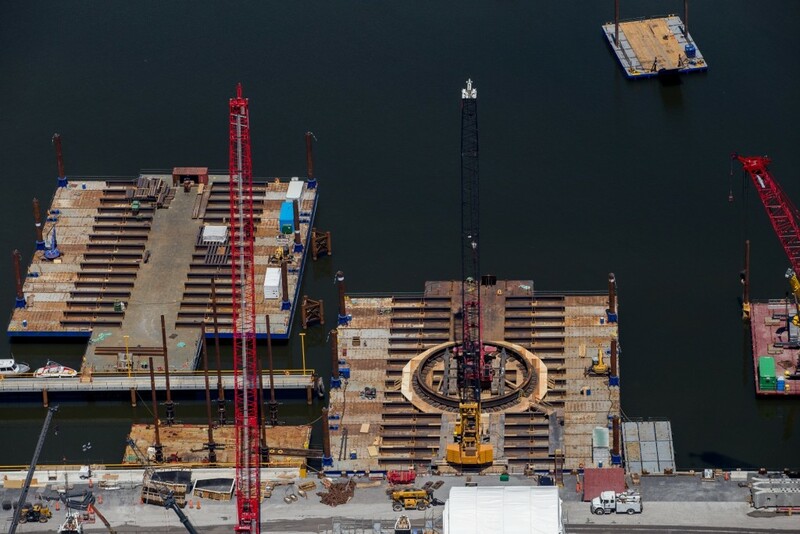 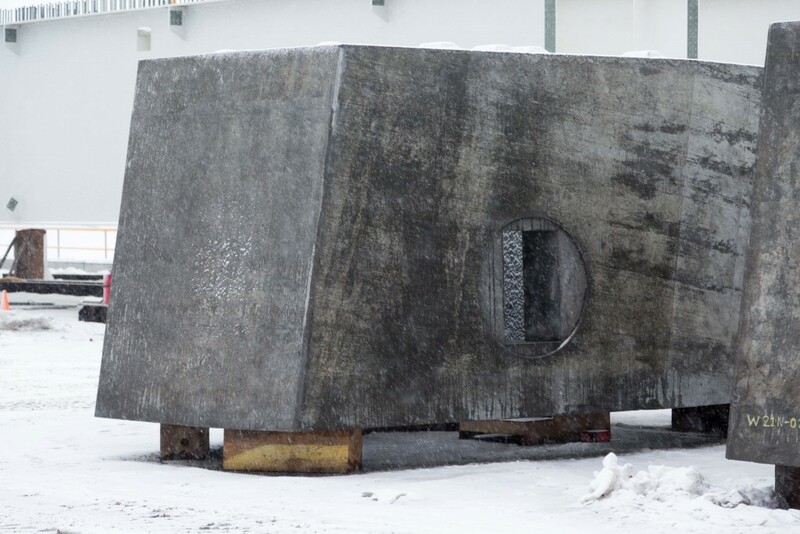 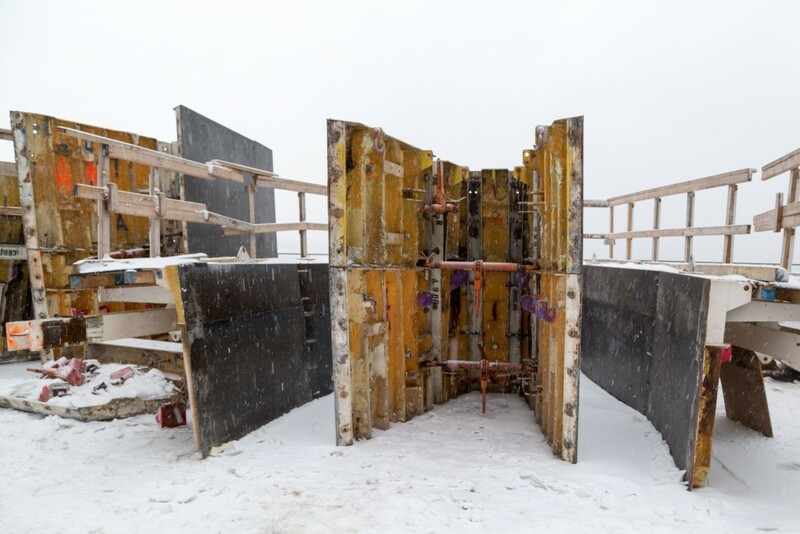 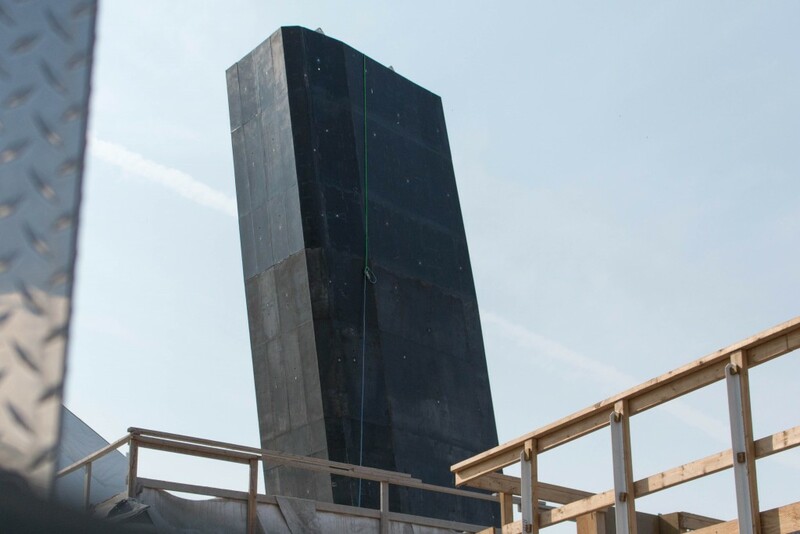 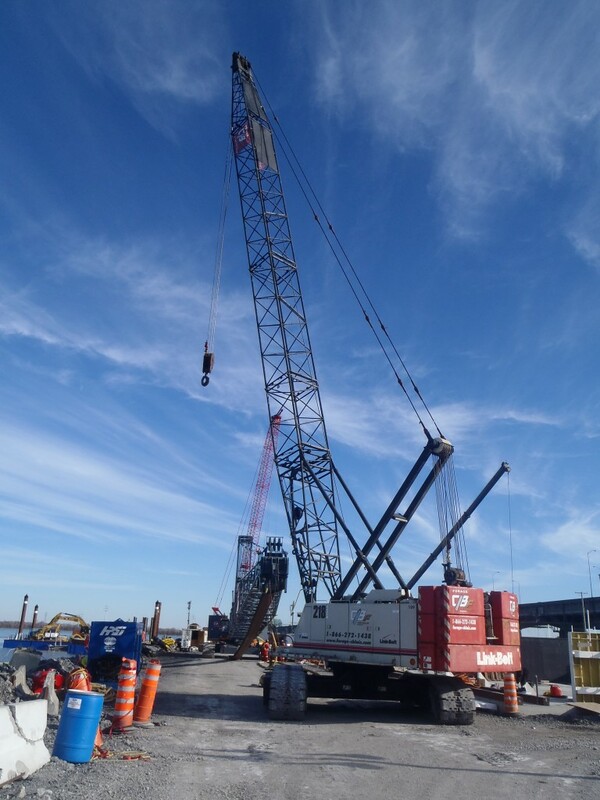 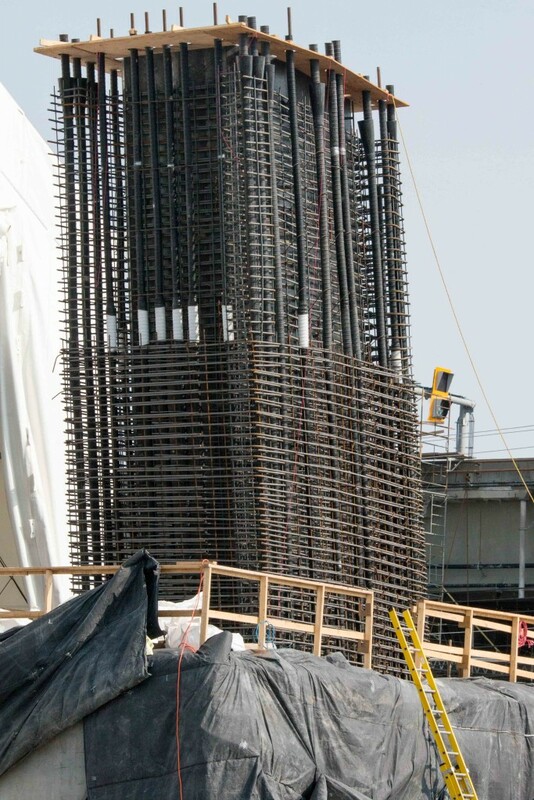 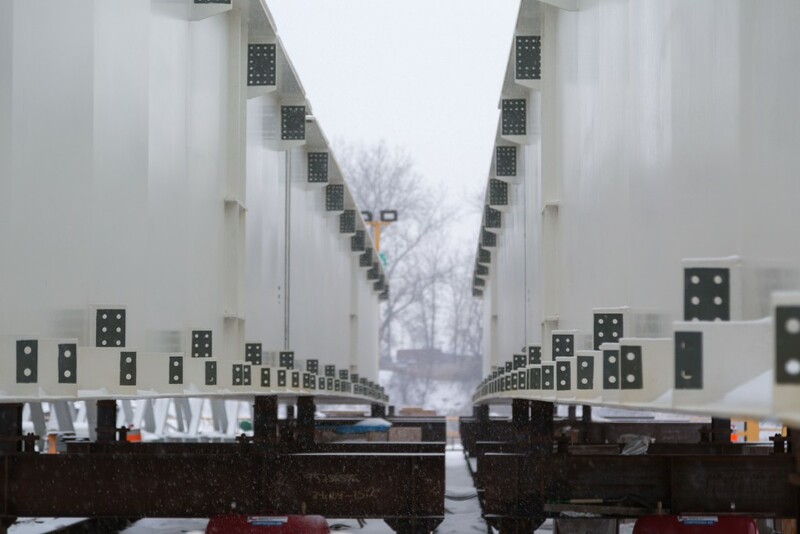 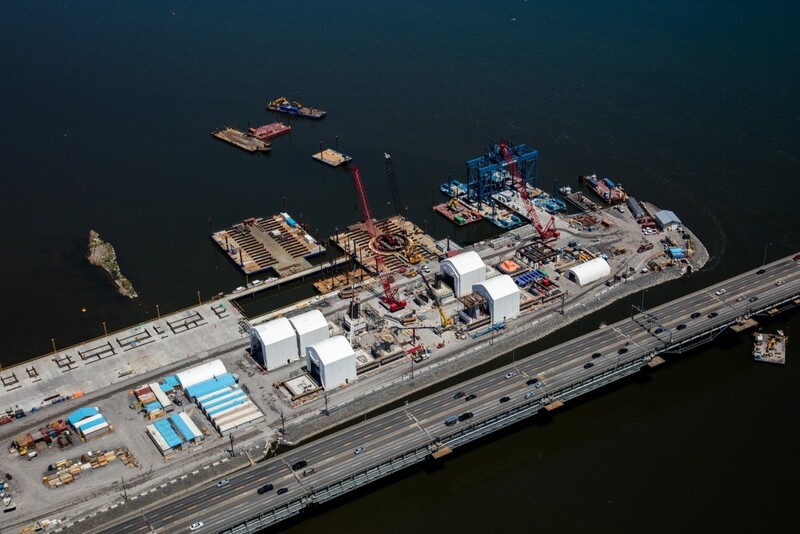 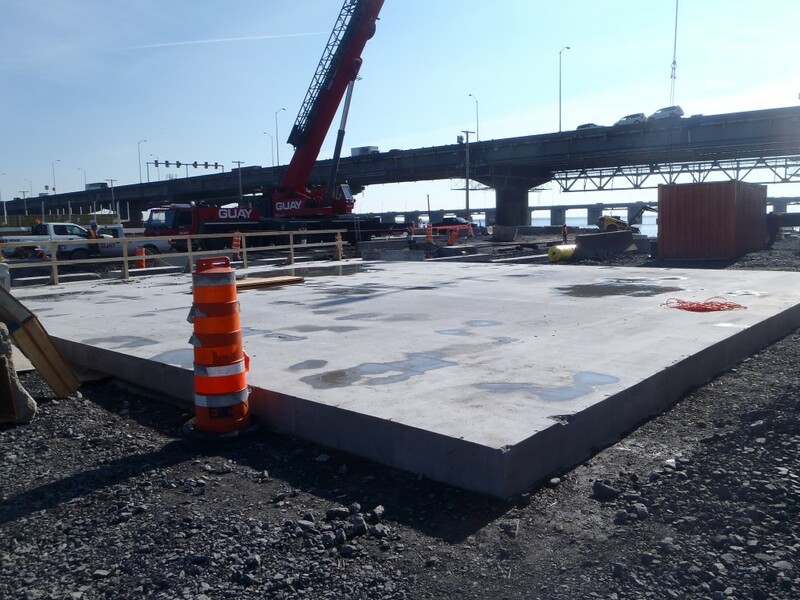 It will allow us to set up a precast yard for concrete foundation and pier cap parts that are too heavy to be transported by road, as well as a steel parts assembly area. 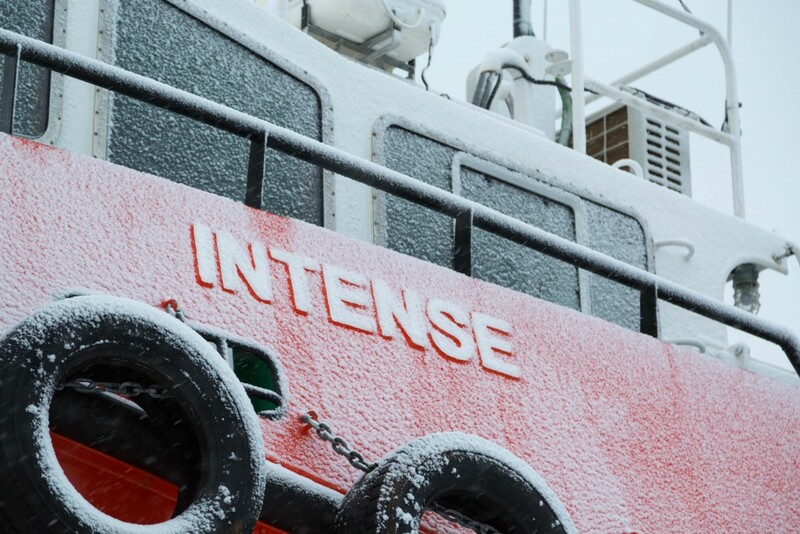 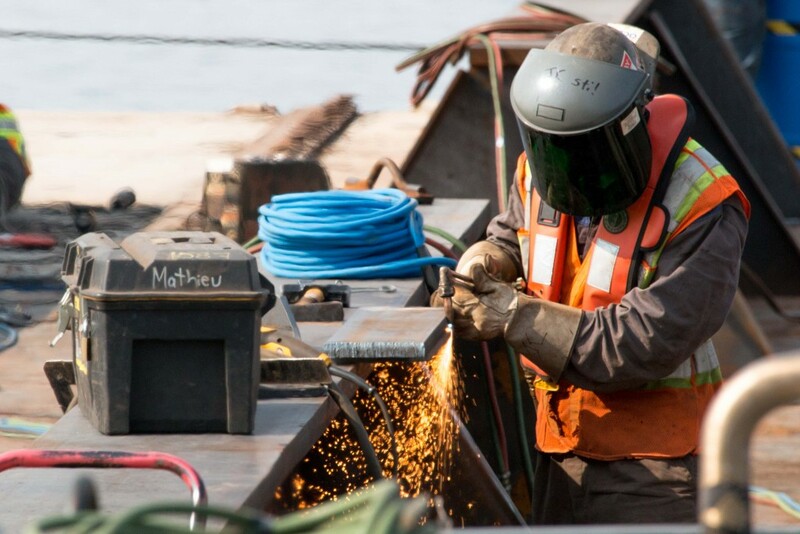 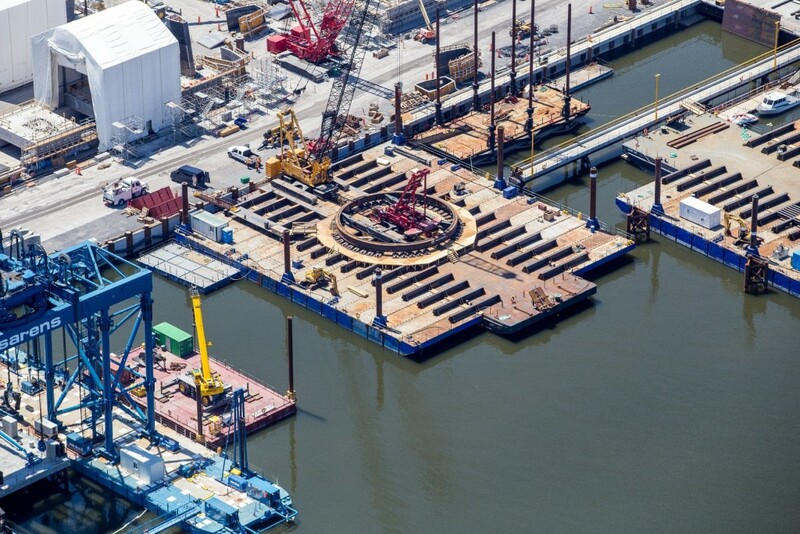 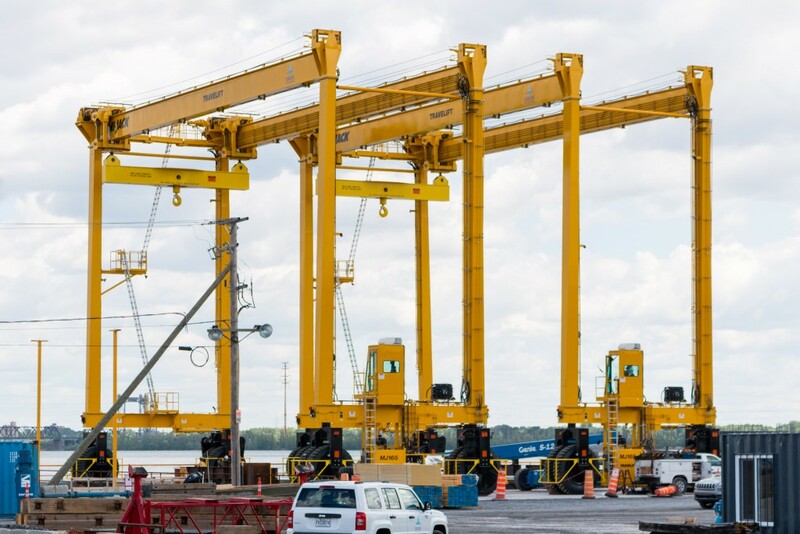 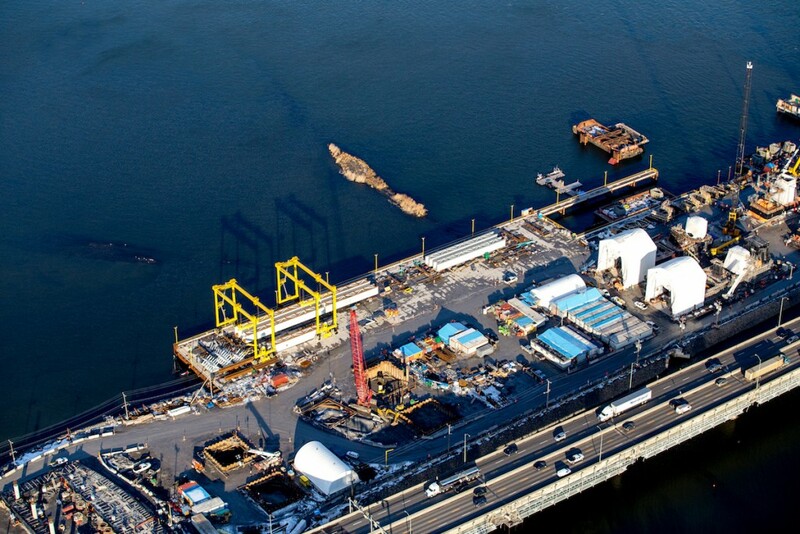 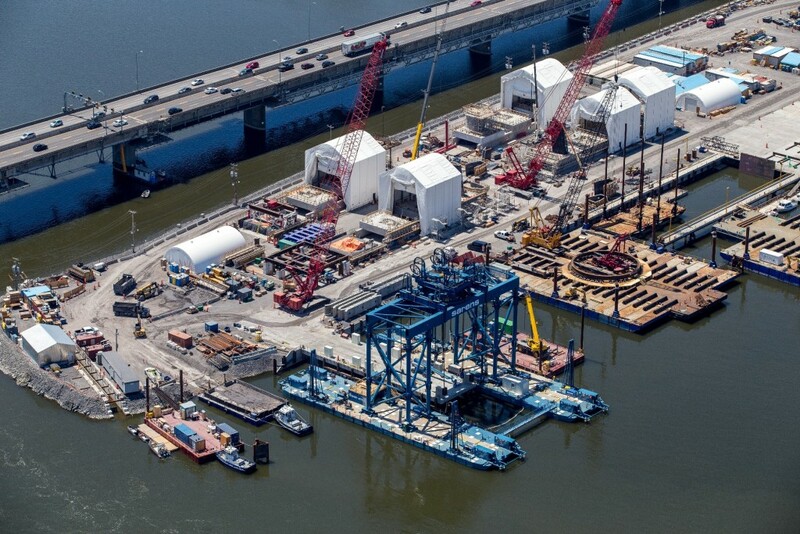 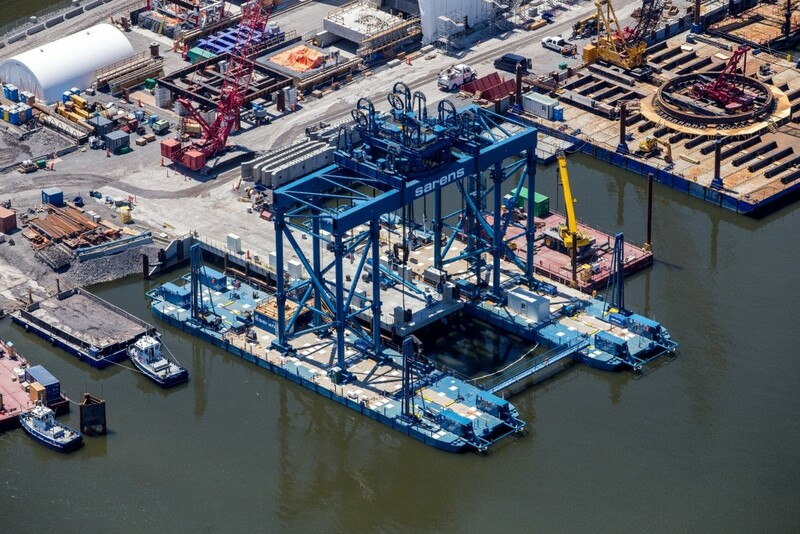 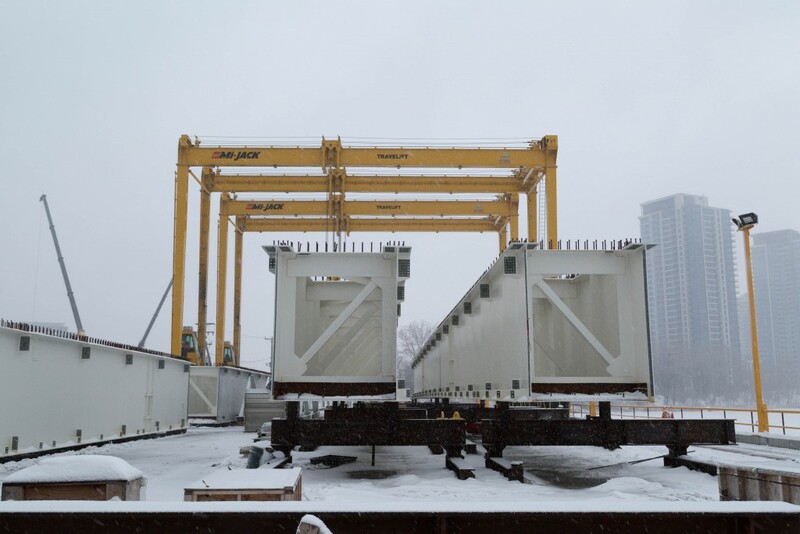 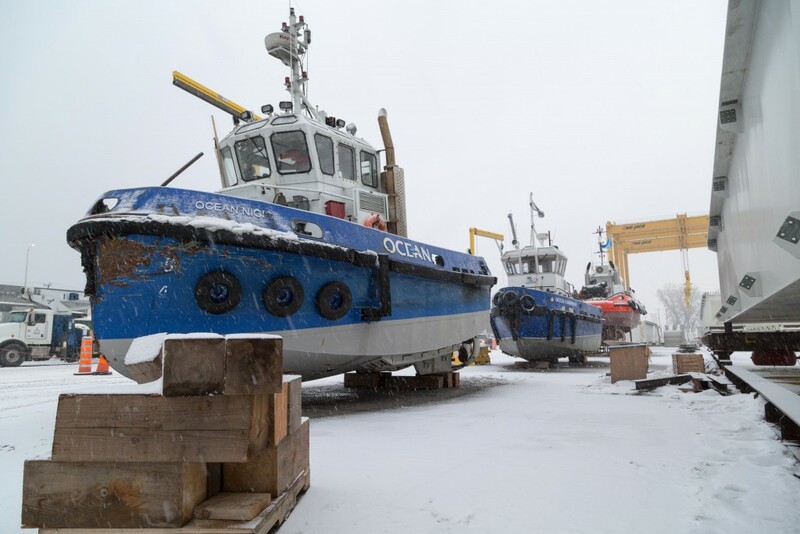 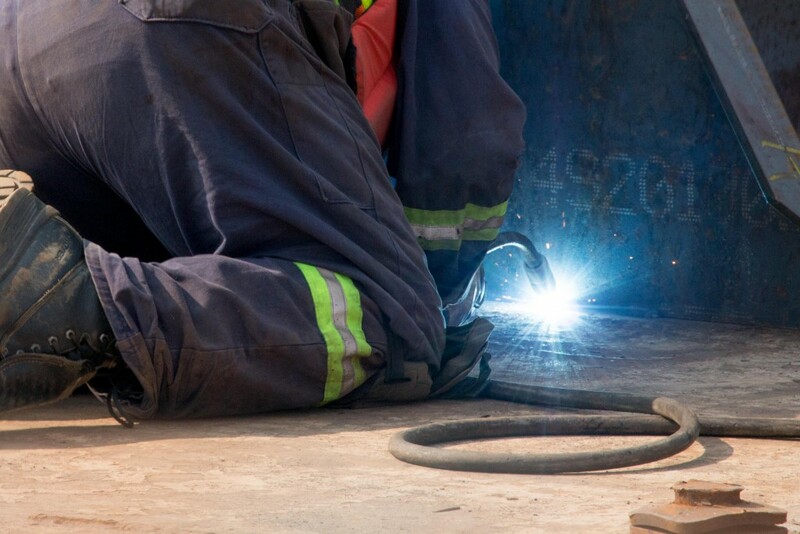 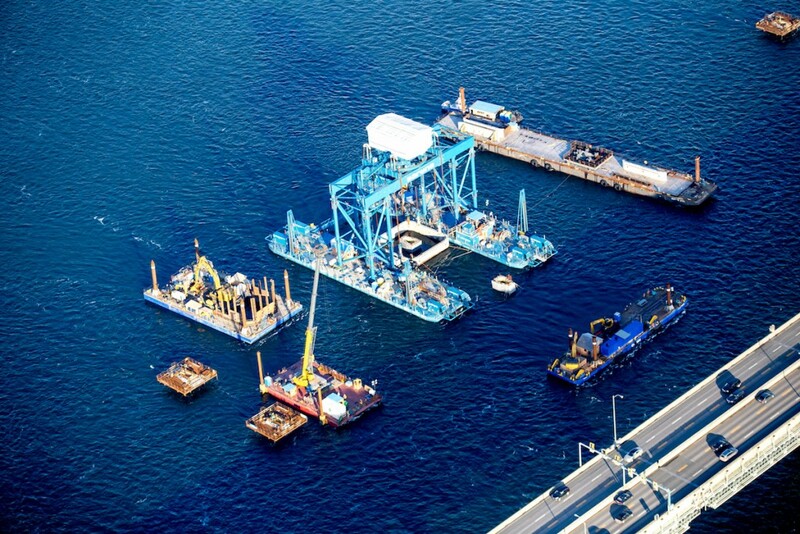 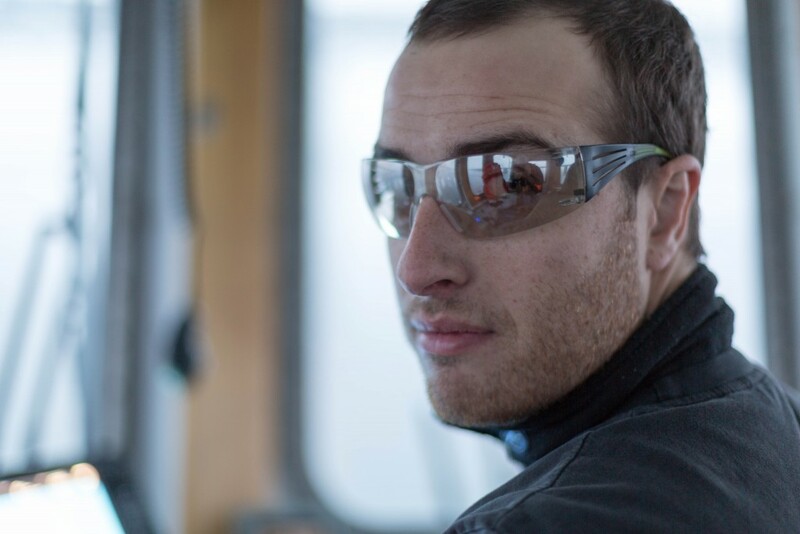 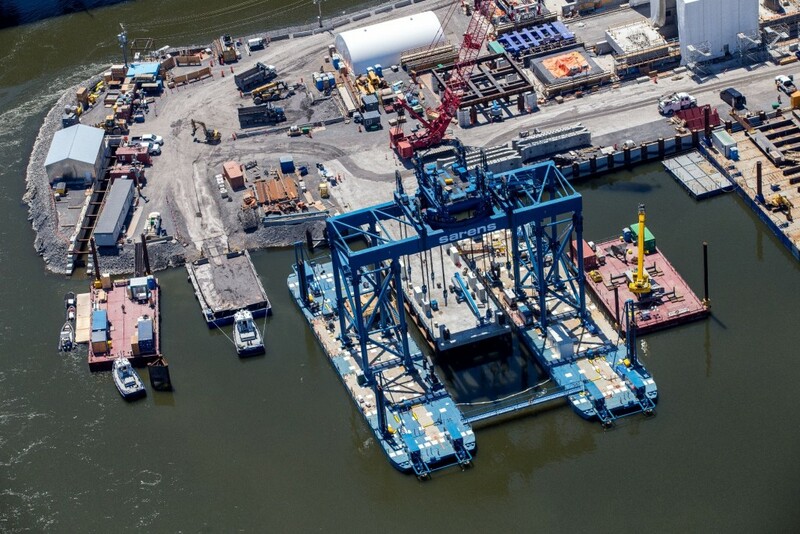 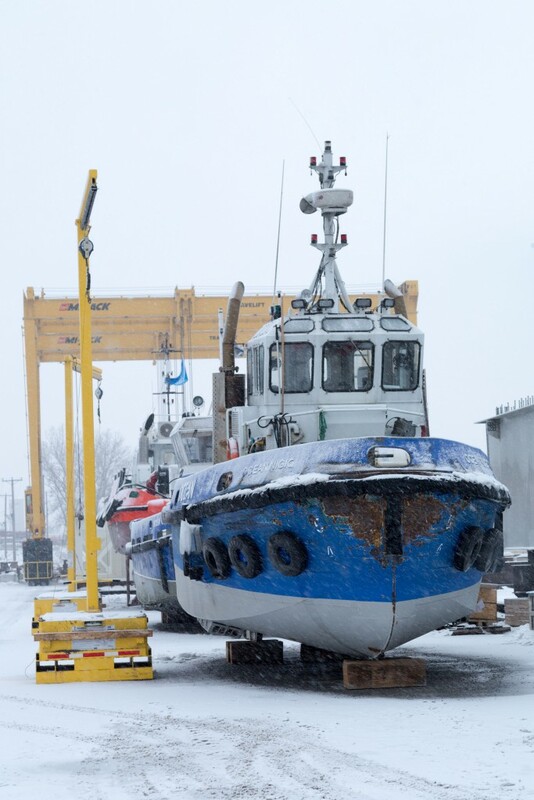 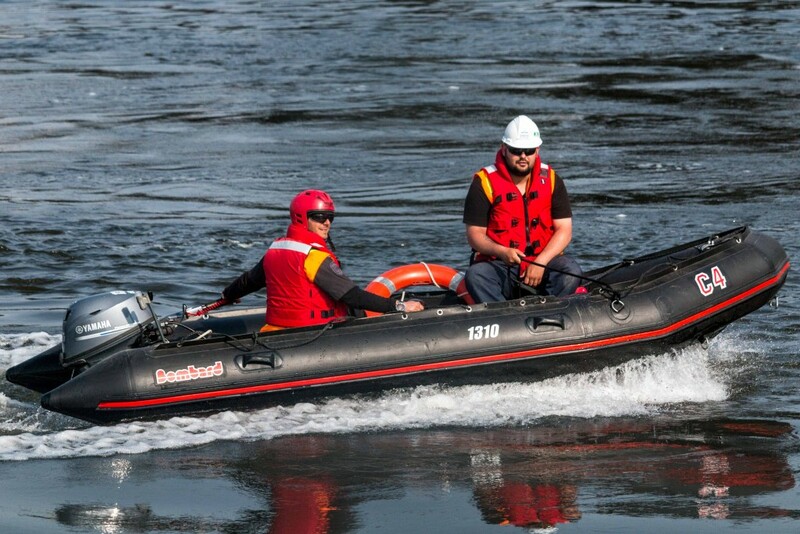 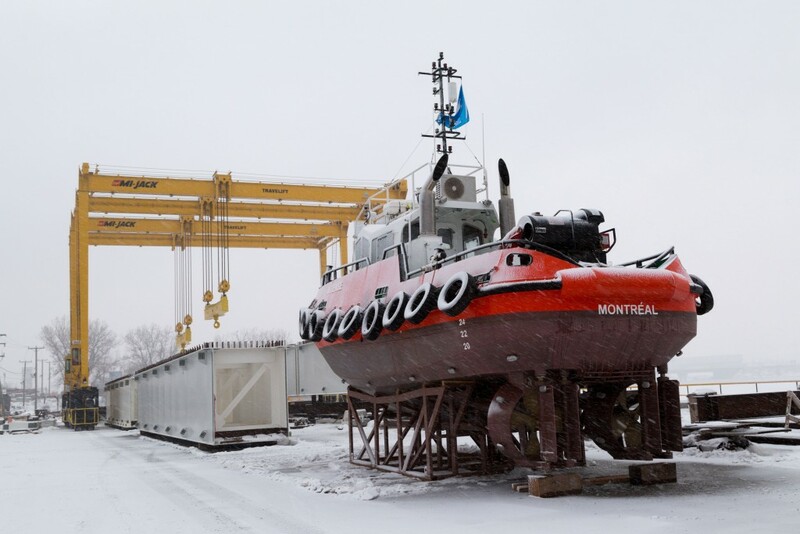 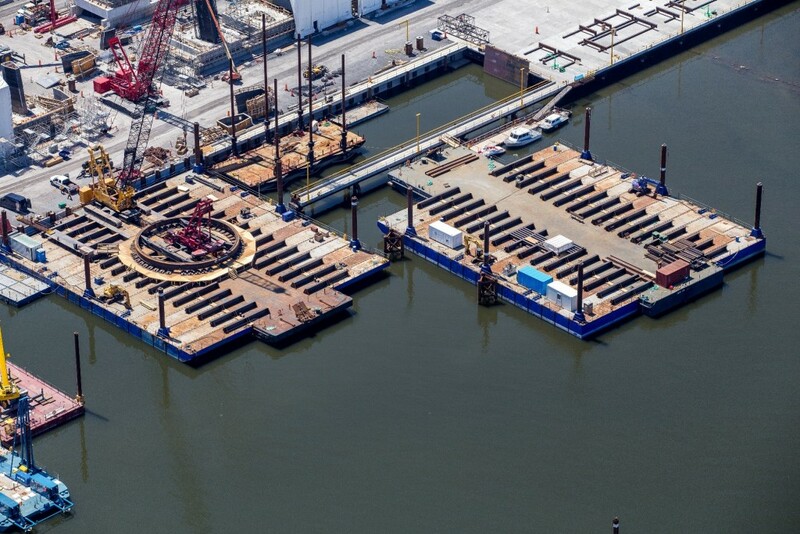 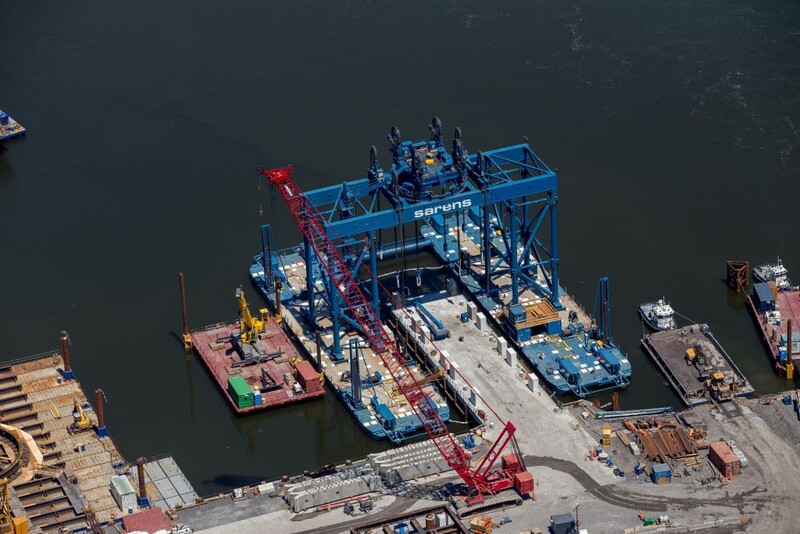 Also it is used to dock vessels transporting components to their installation sites. 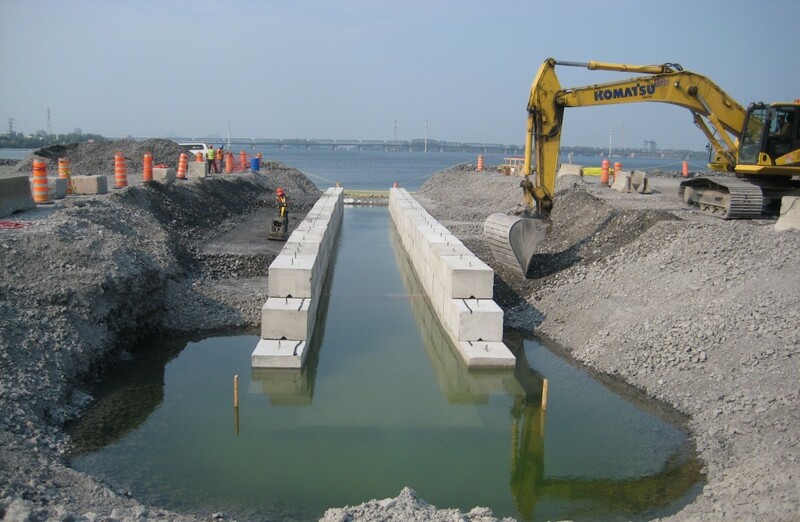 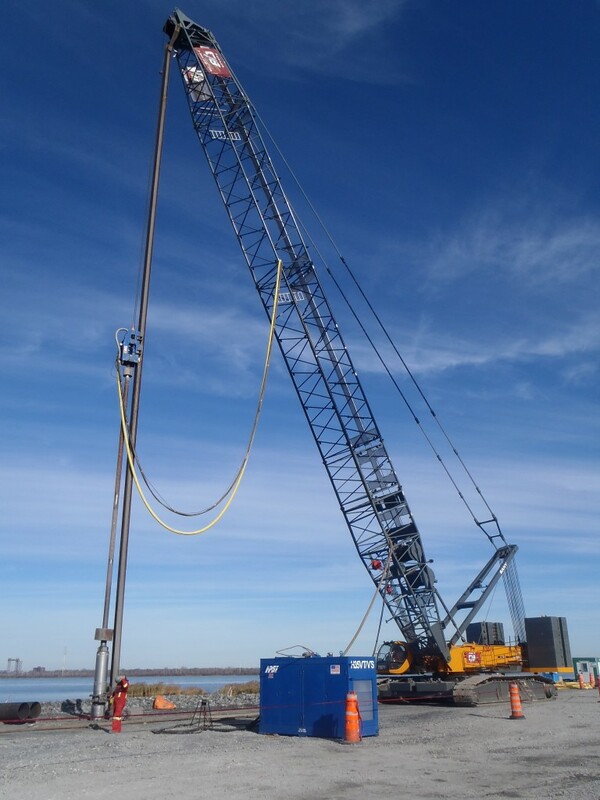 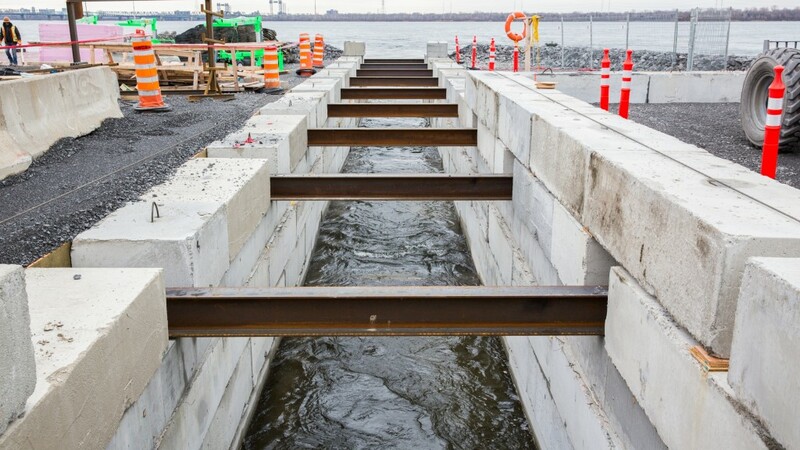 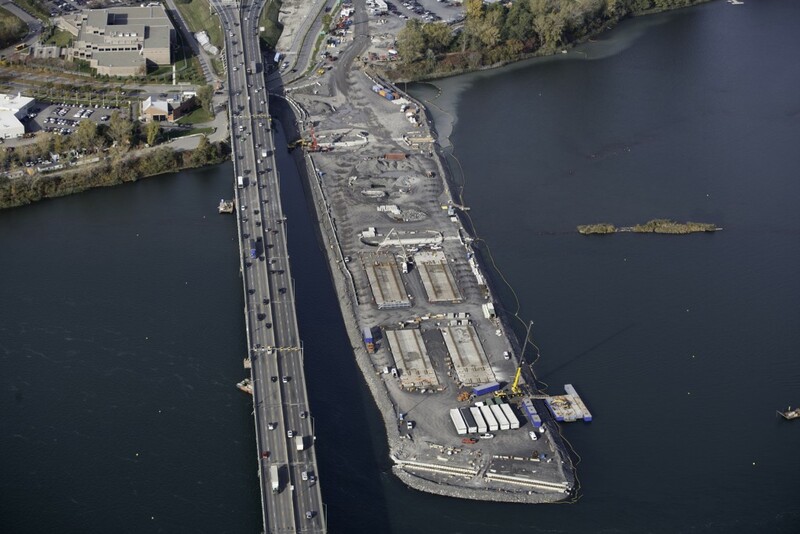 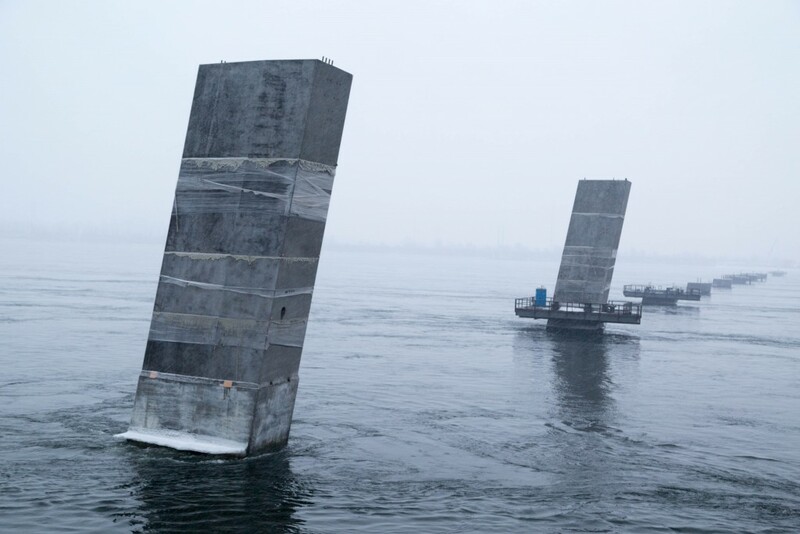 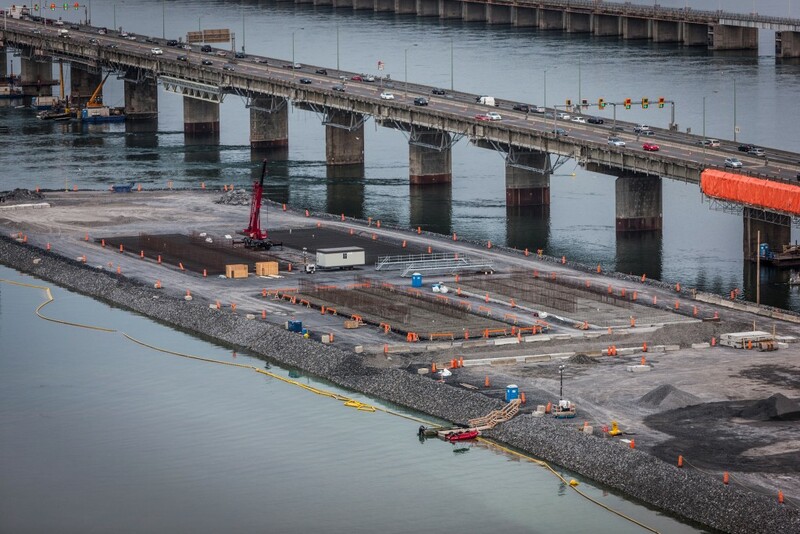 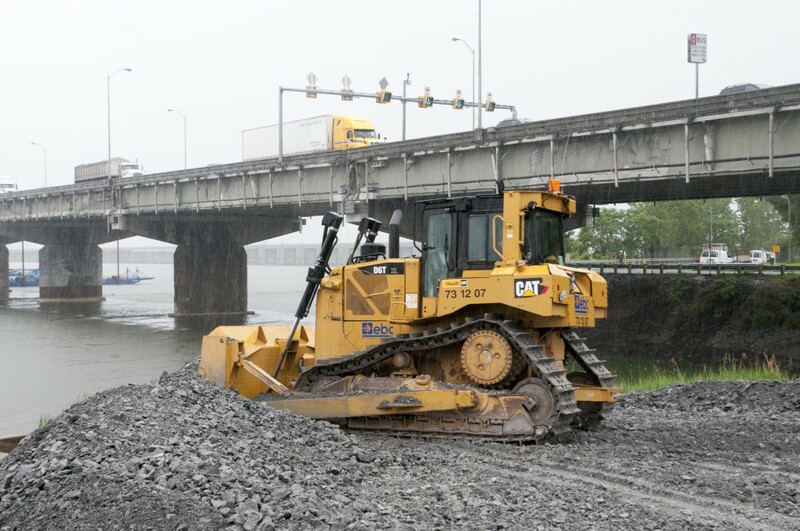 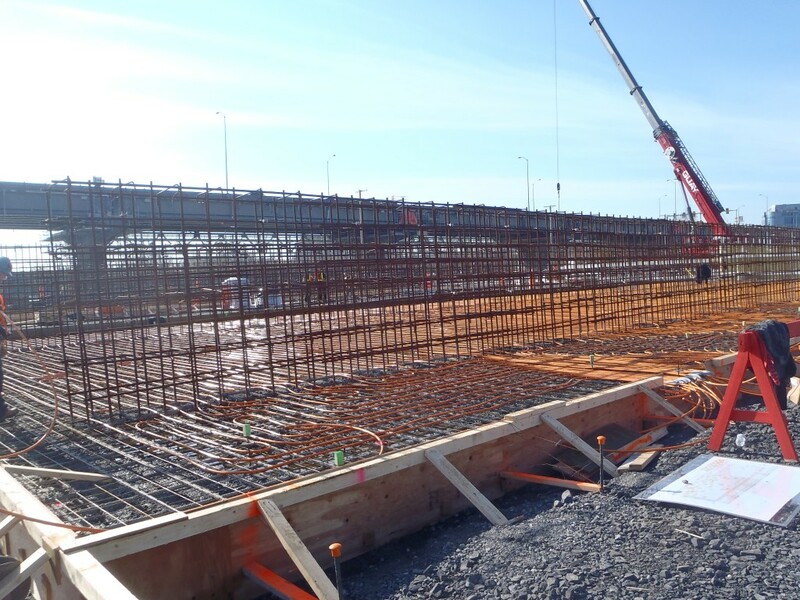 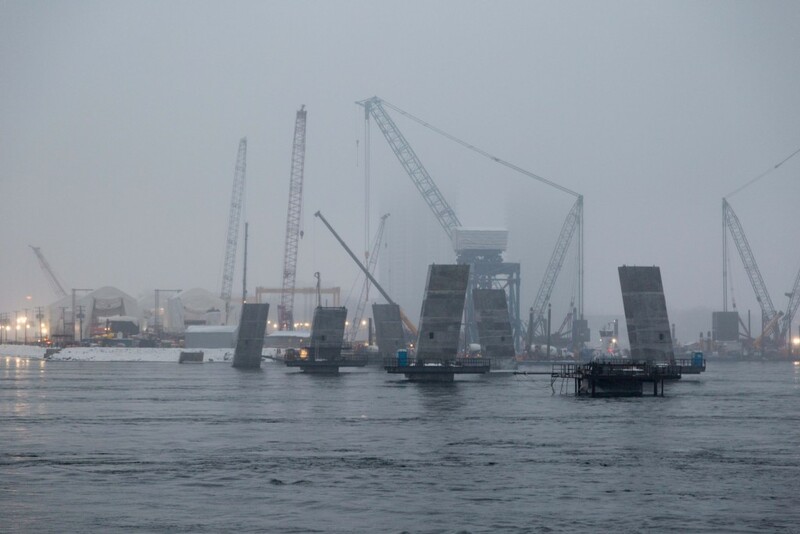 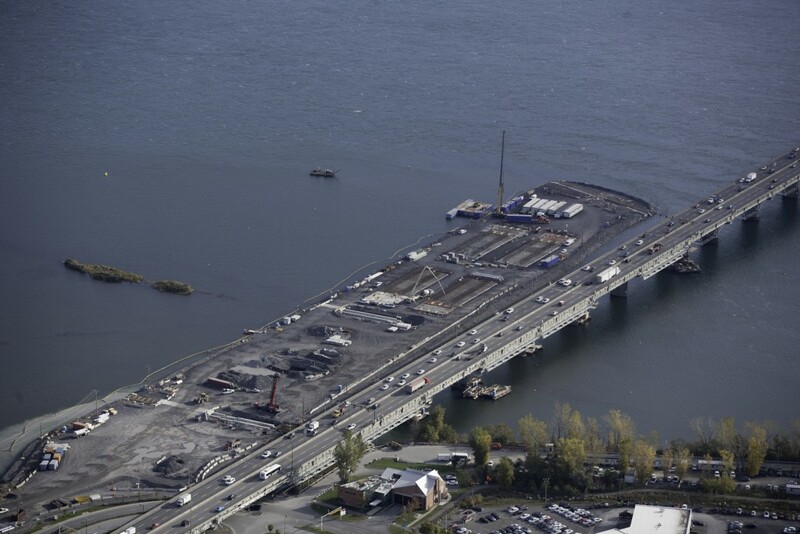 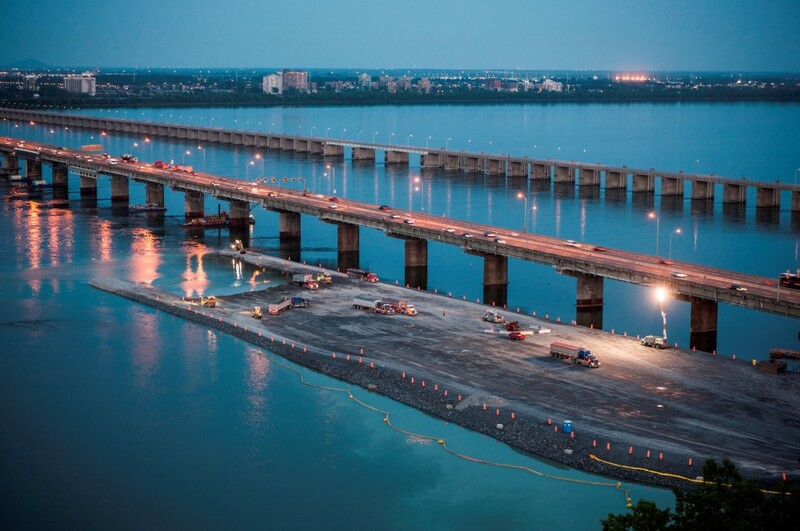 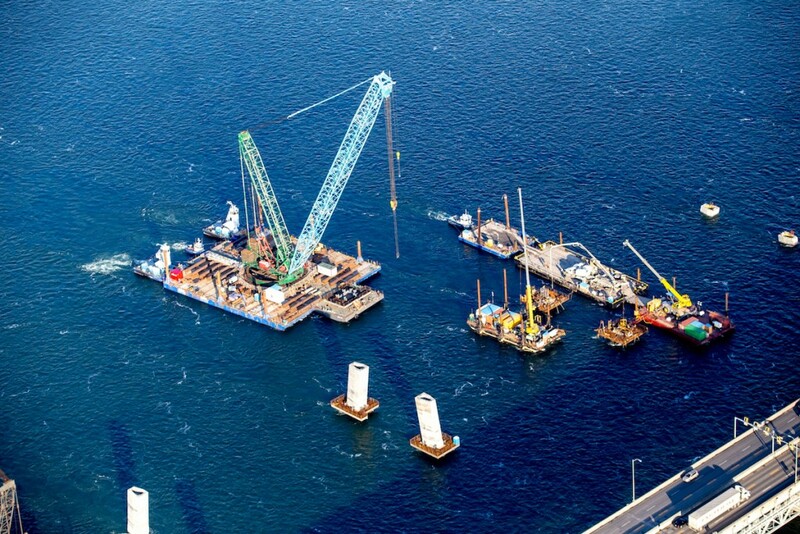 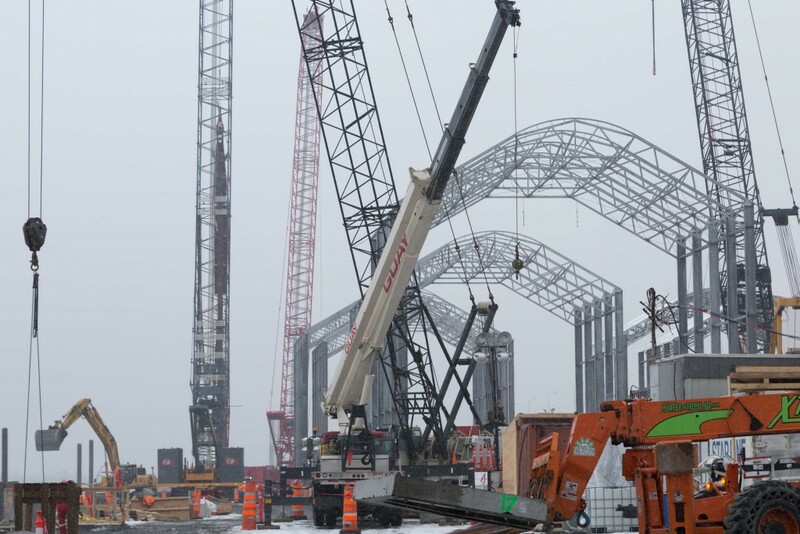 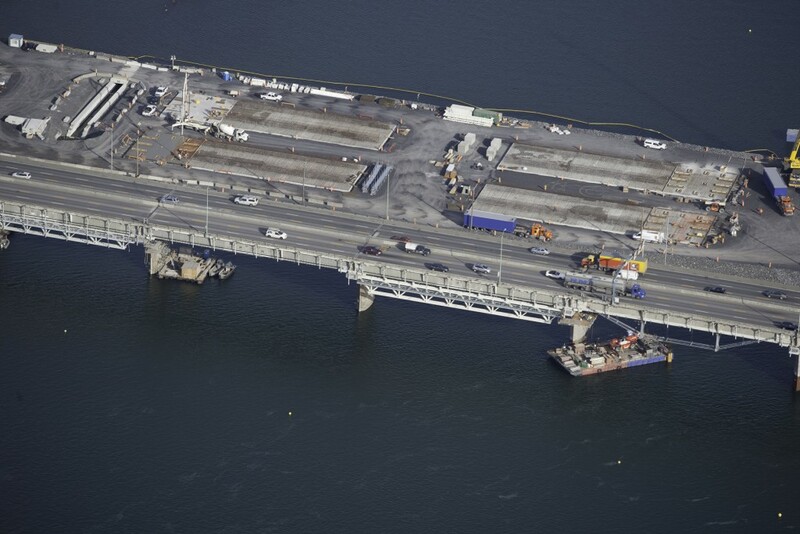 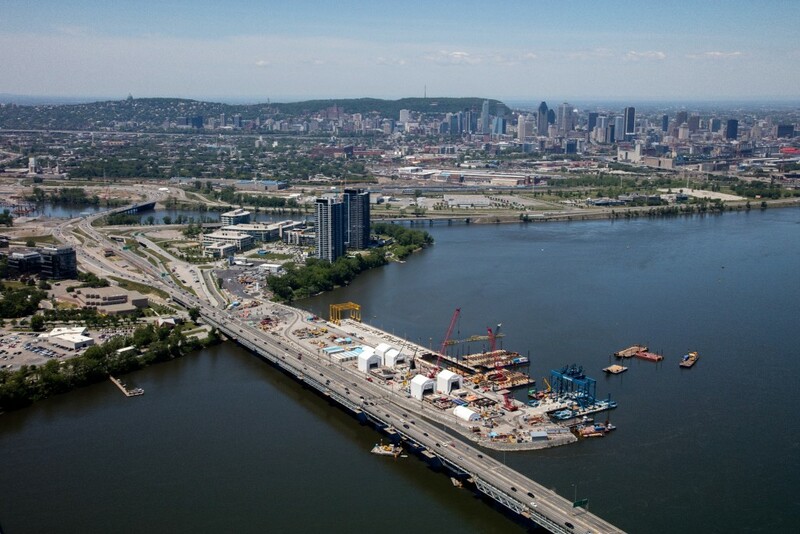 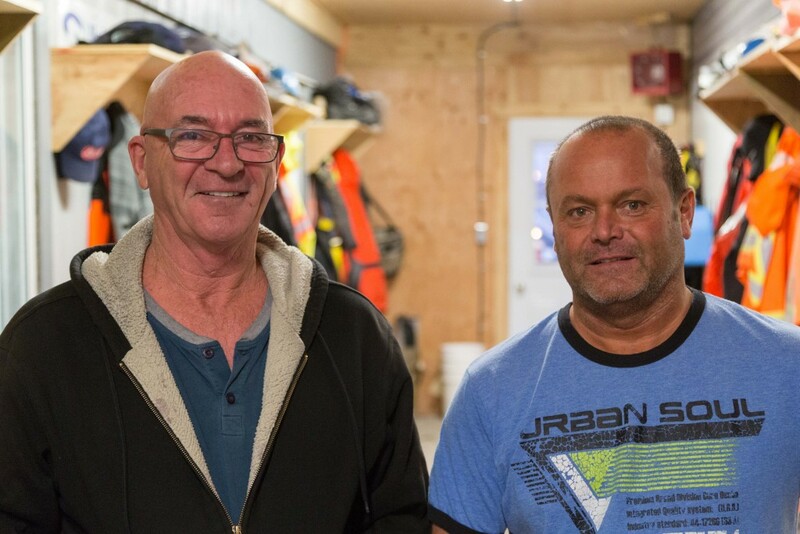 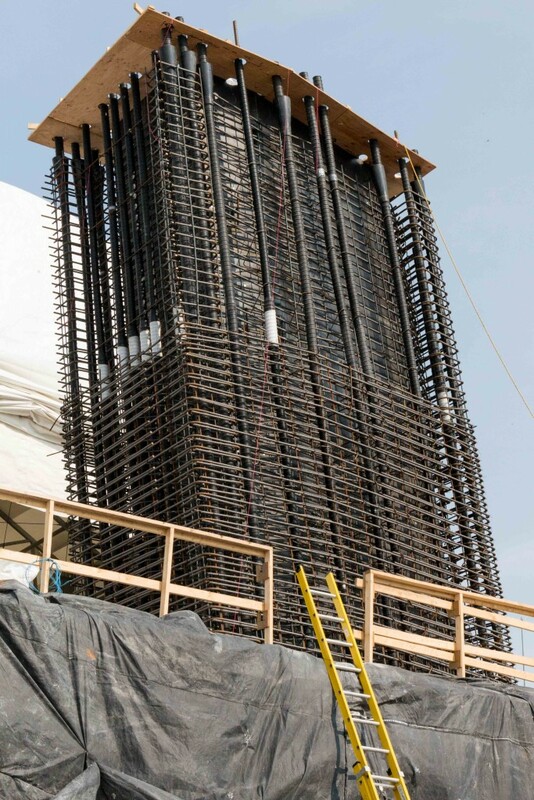 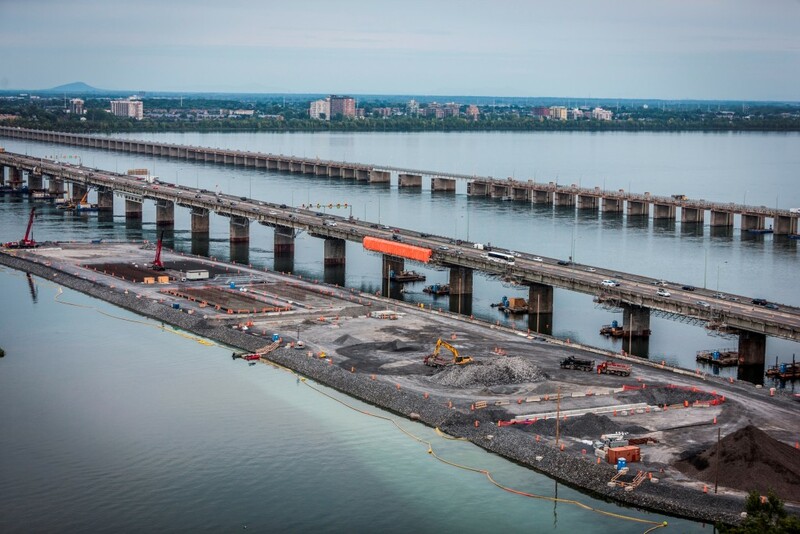 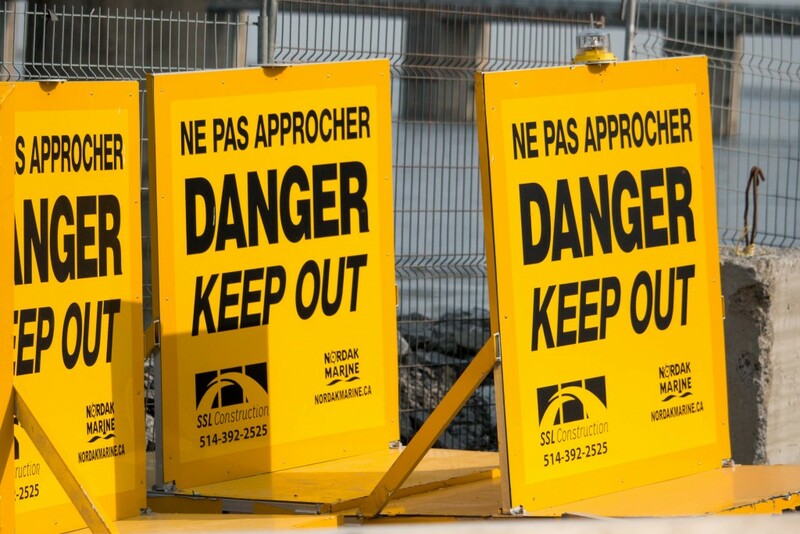 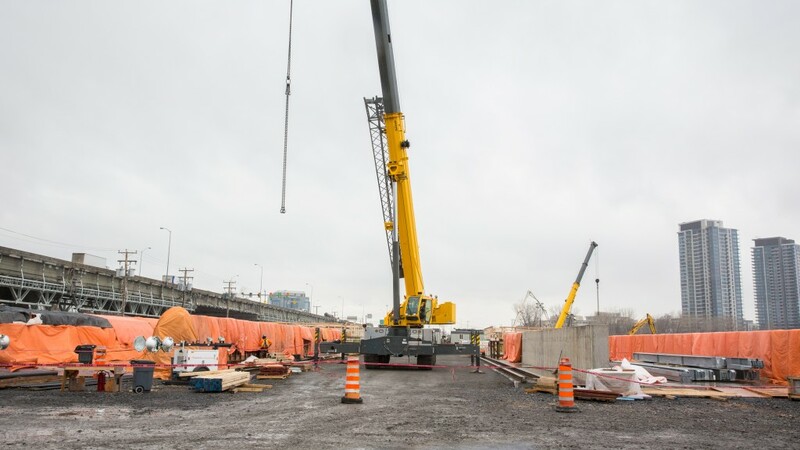 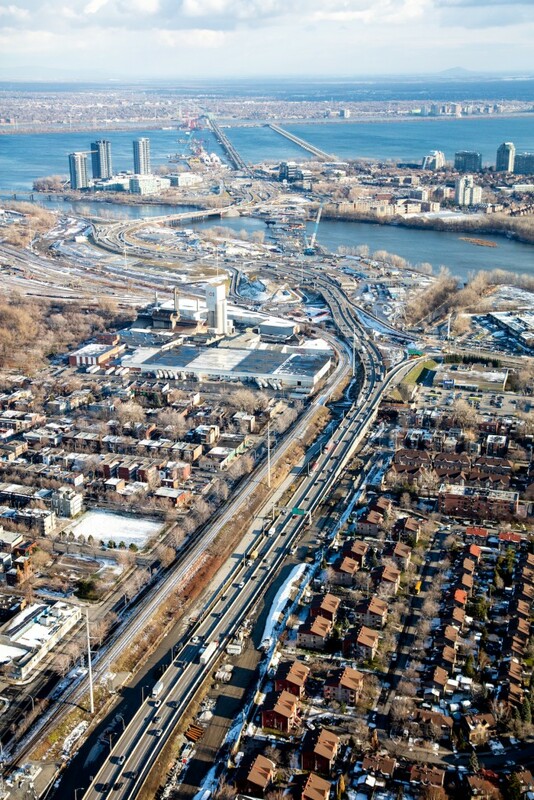 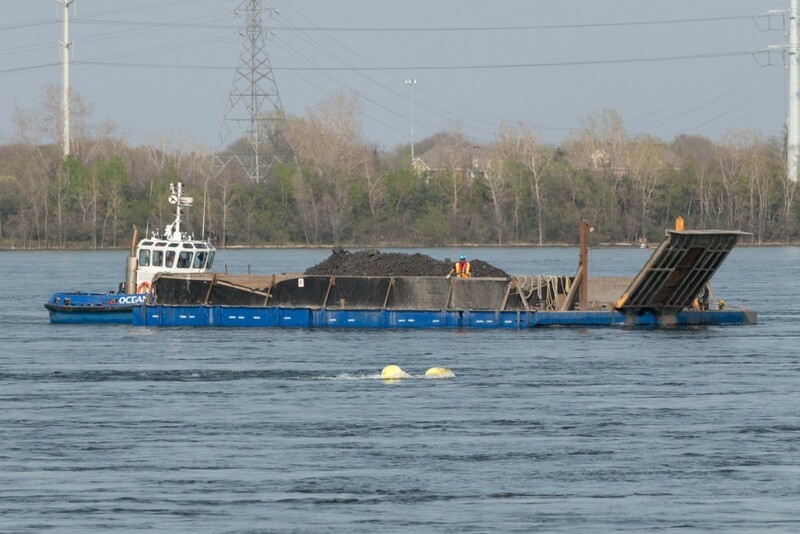 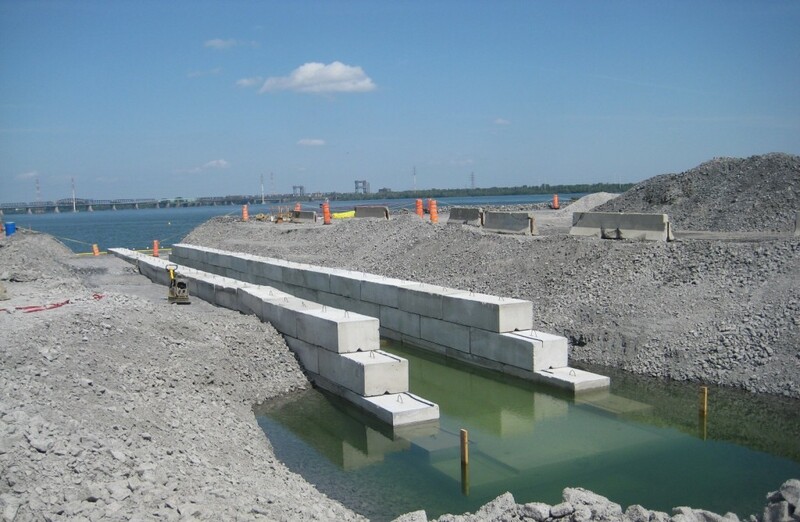 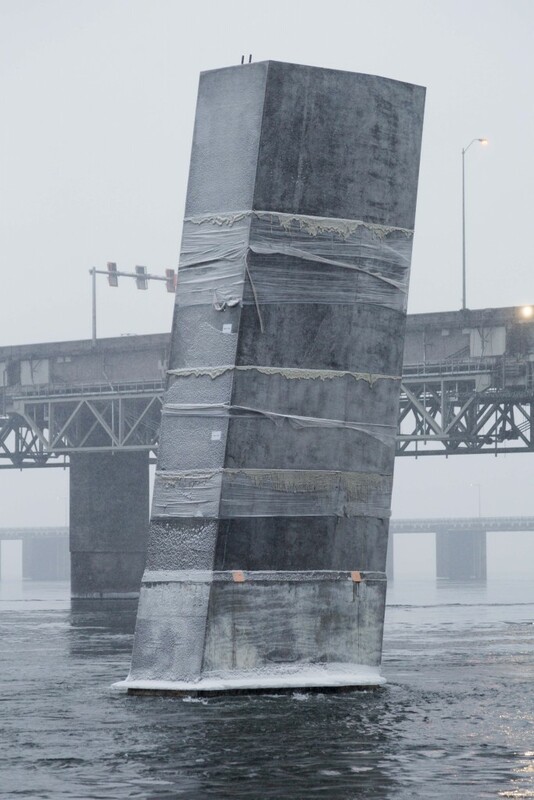 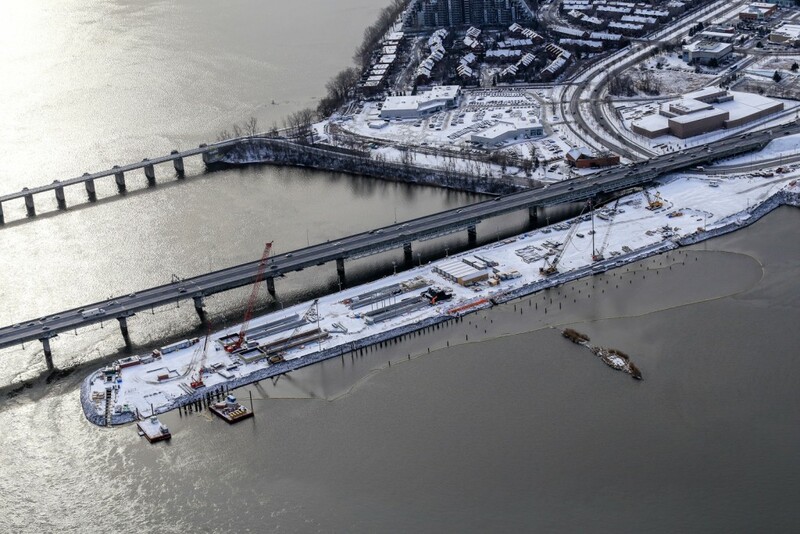 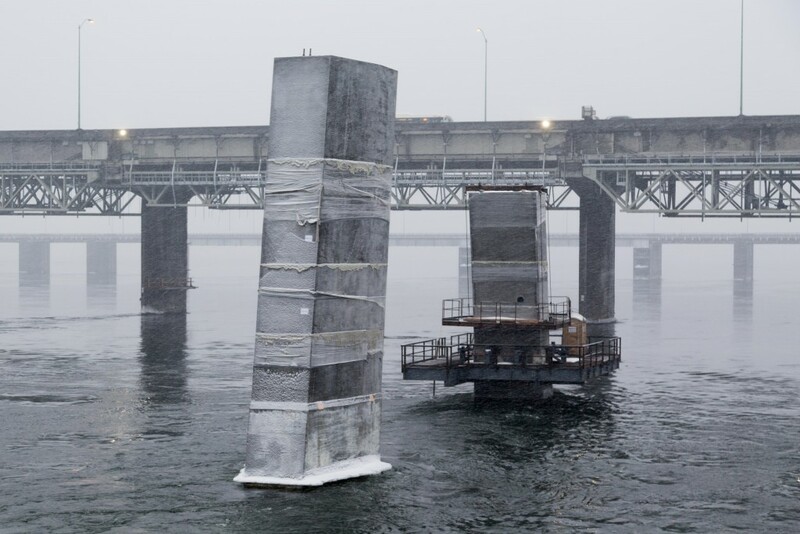 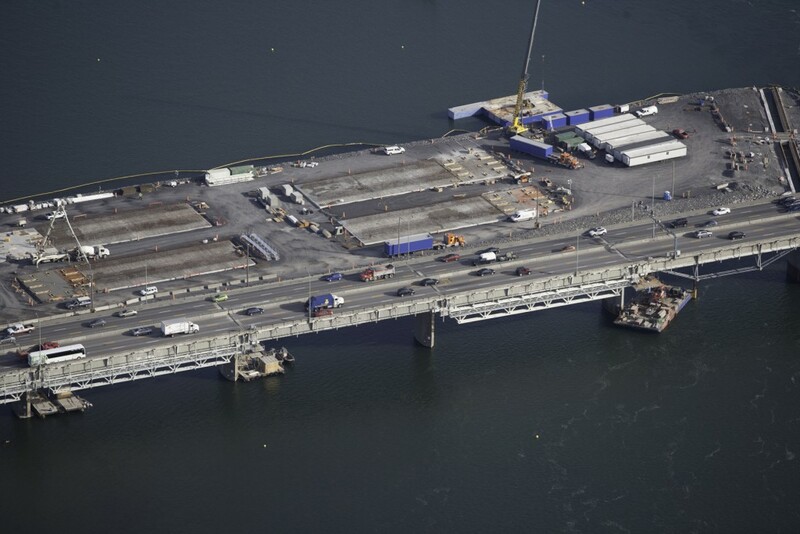 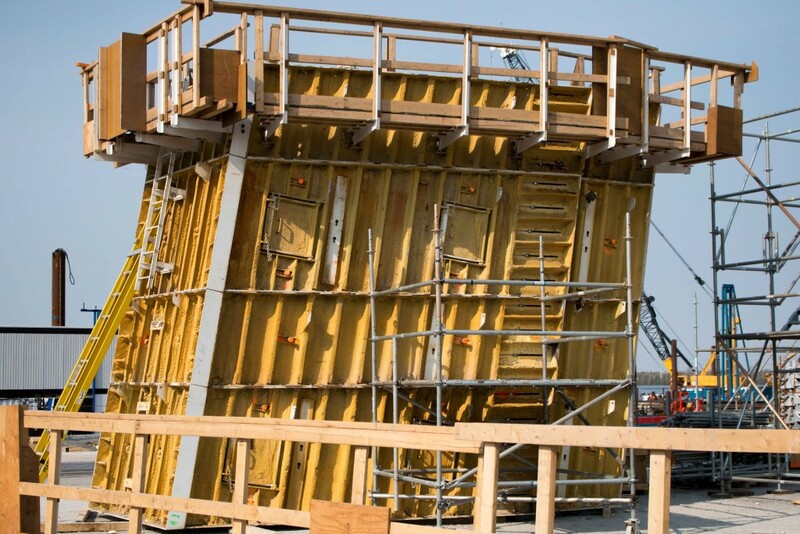 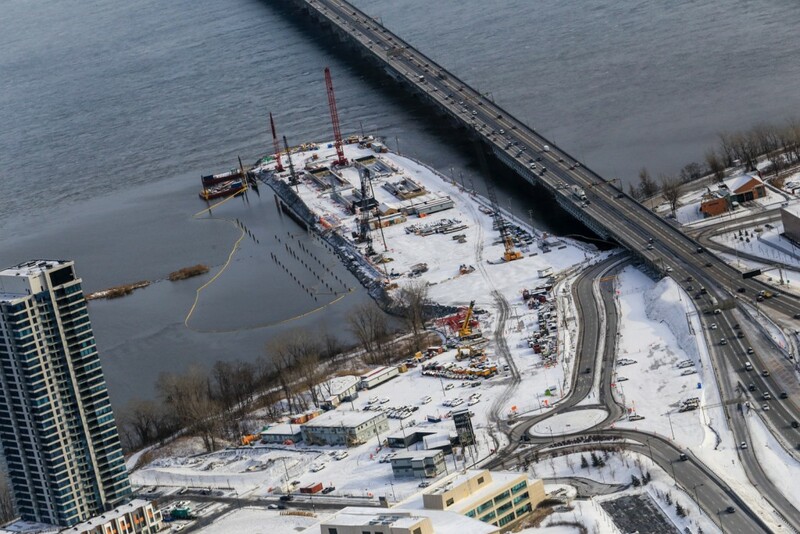 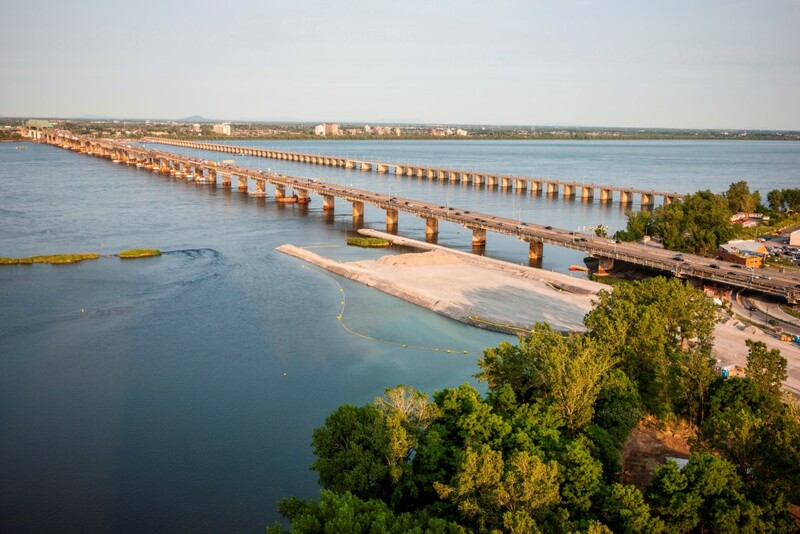 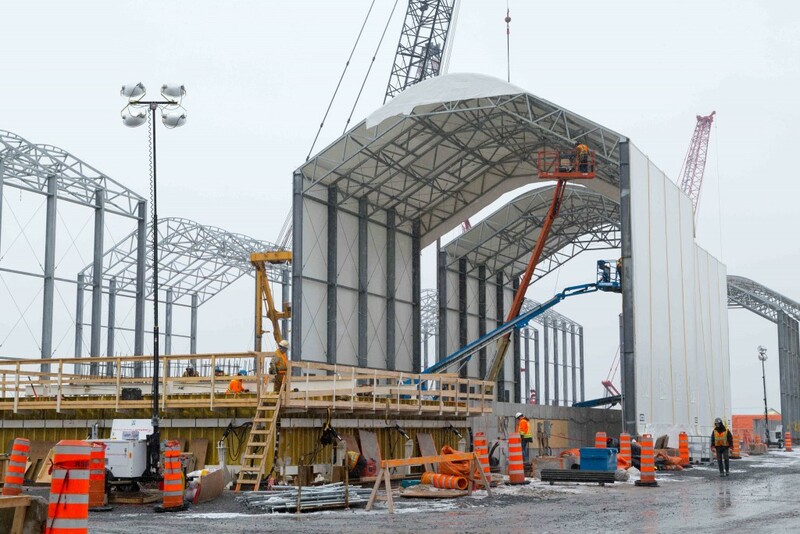 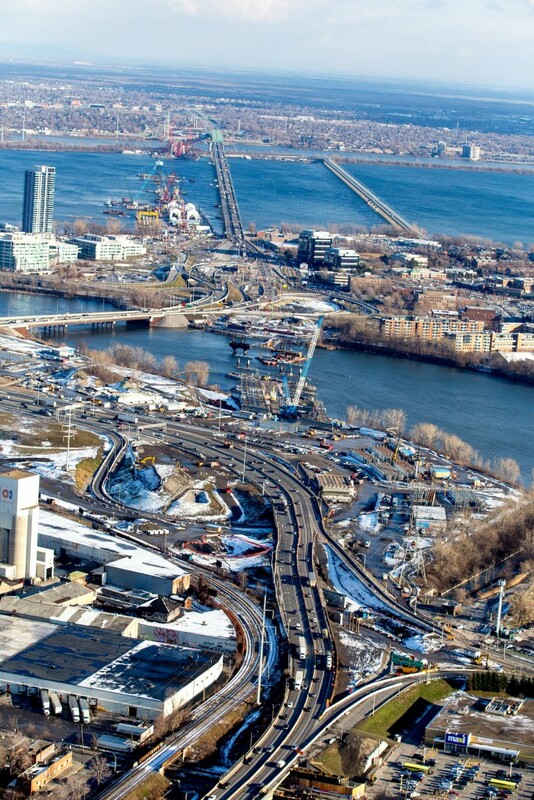 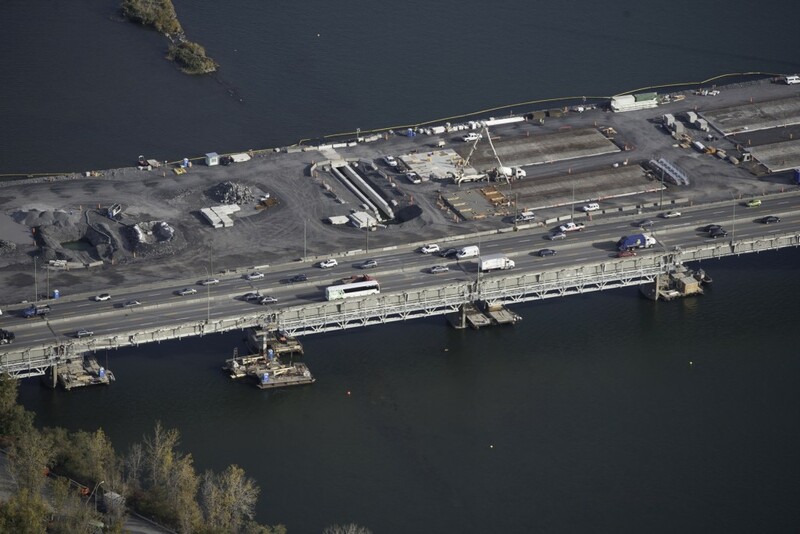 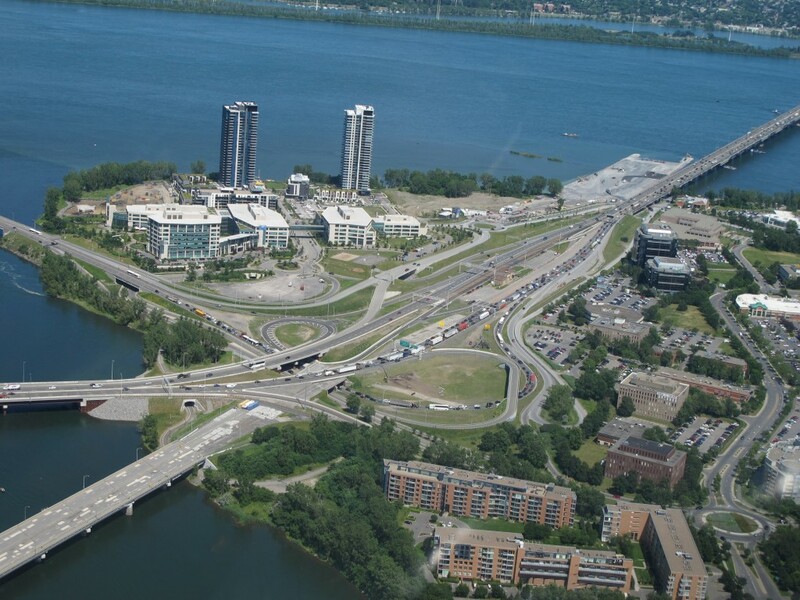 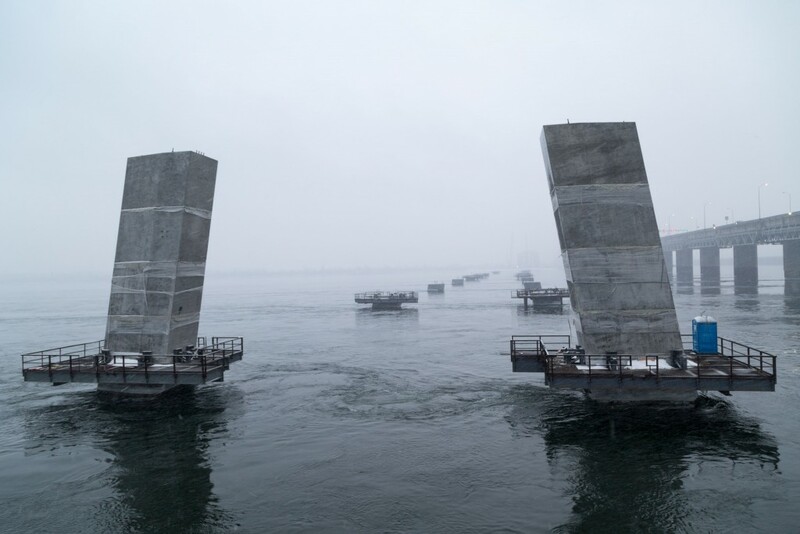 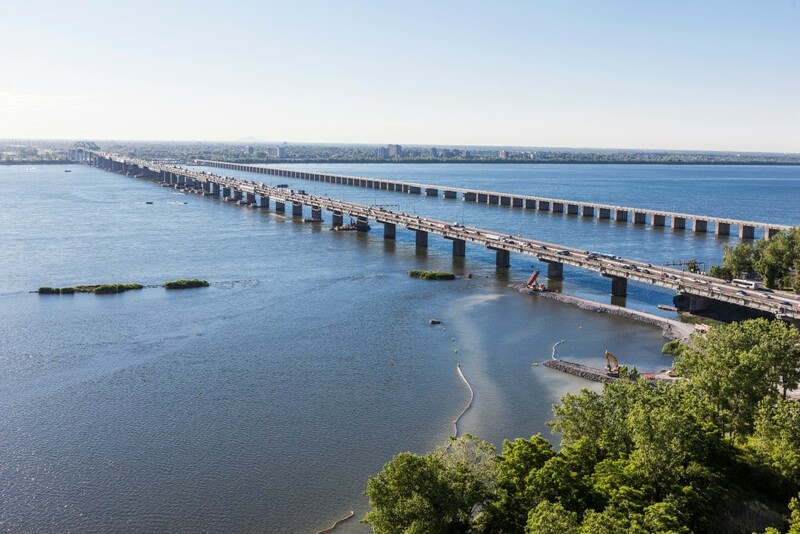 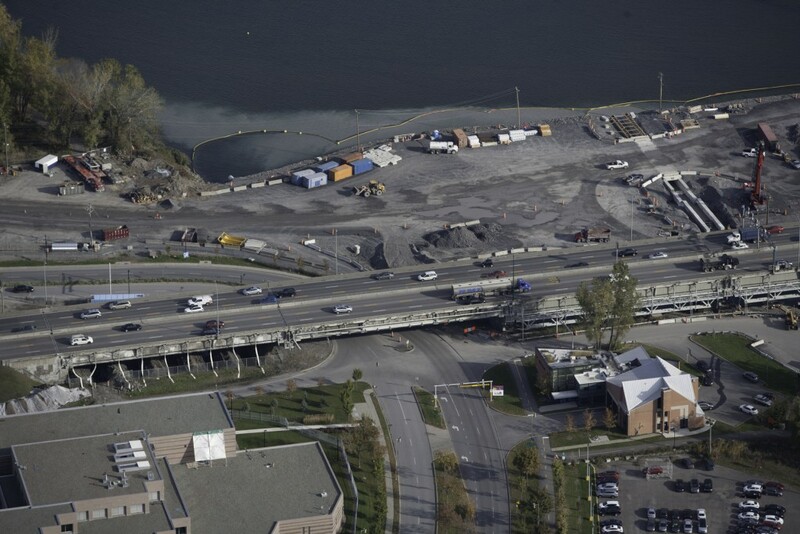 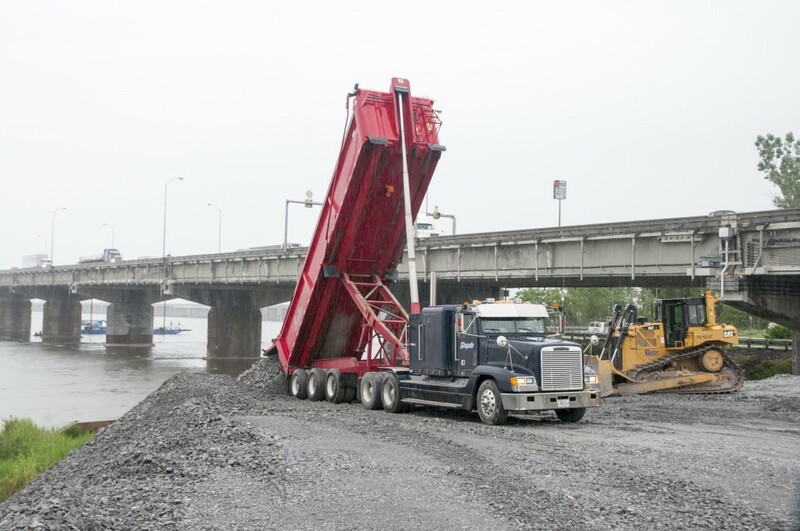 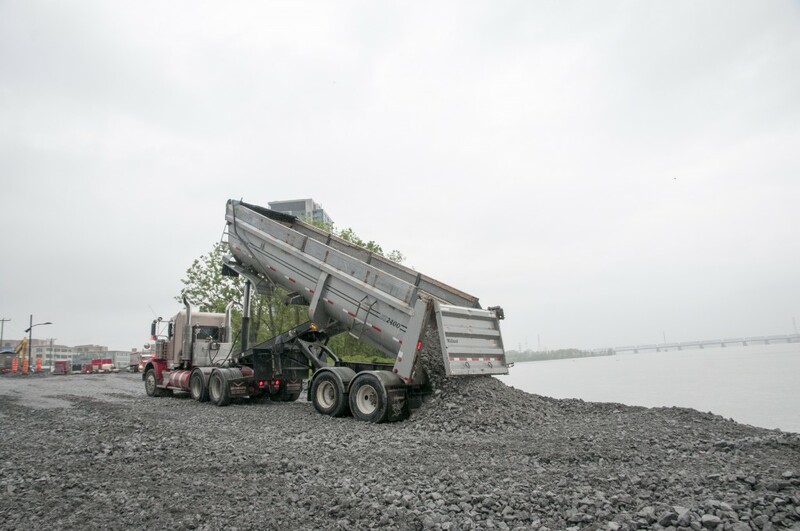 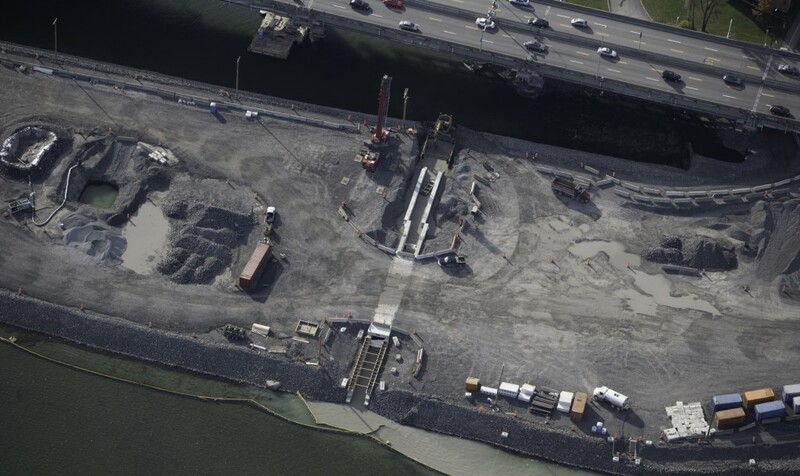 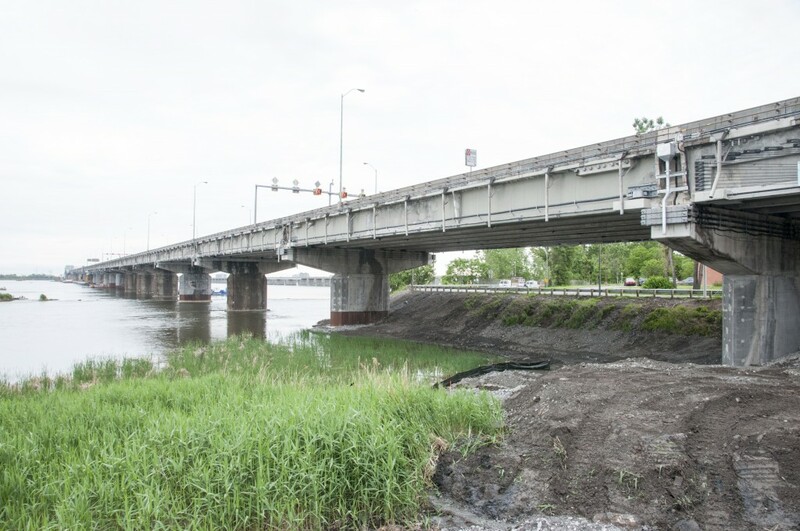 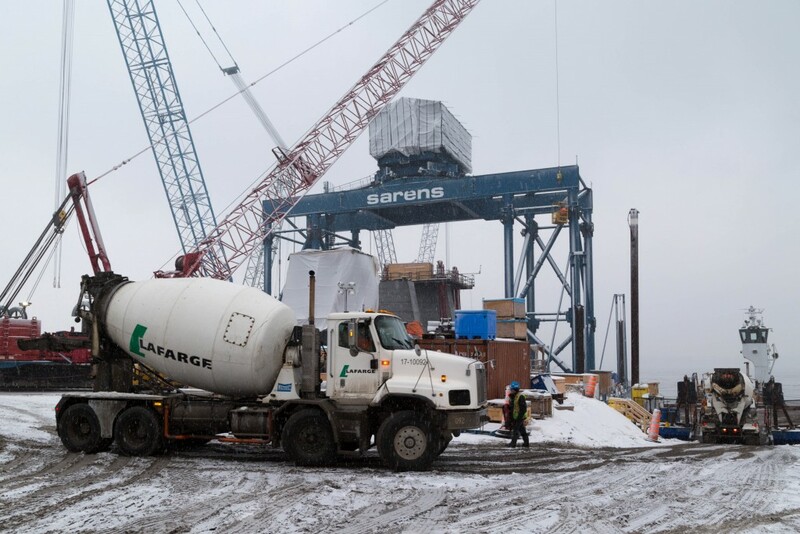 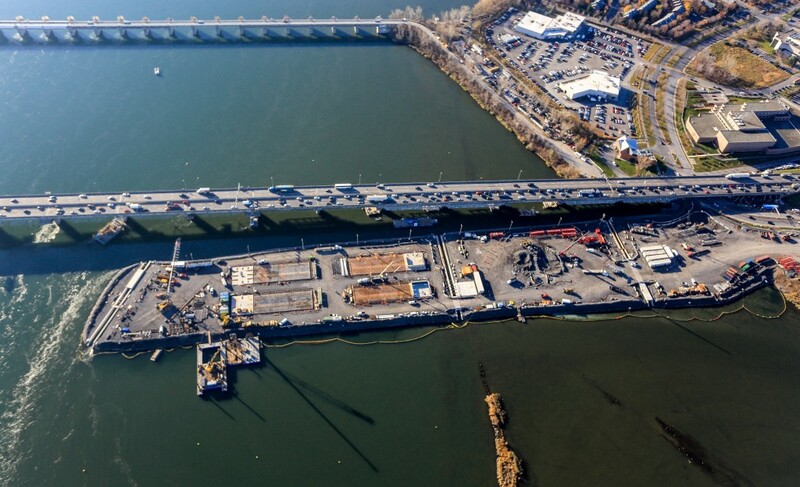 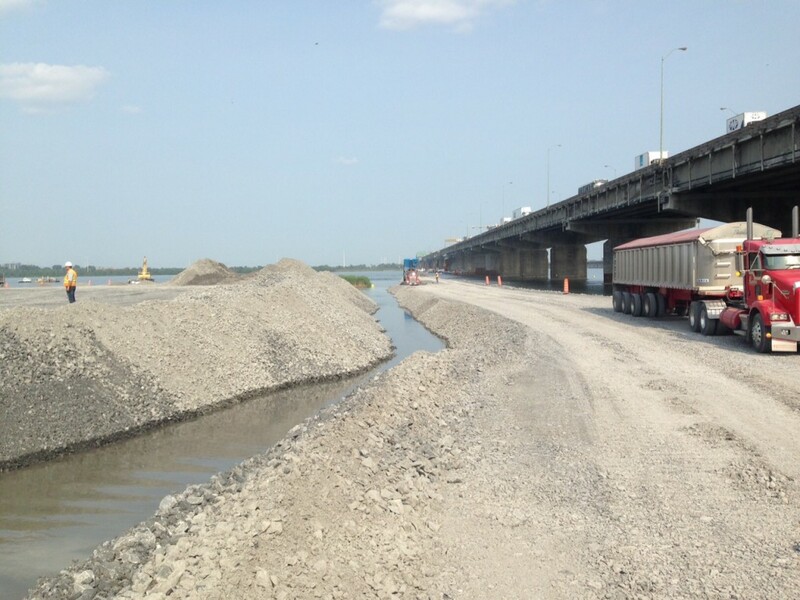 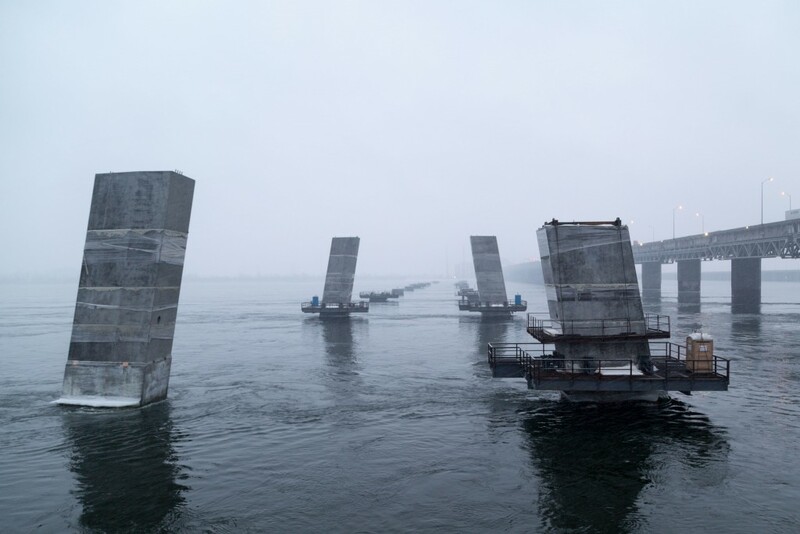 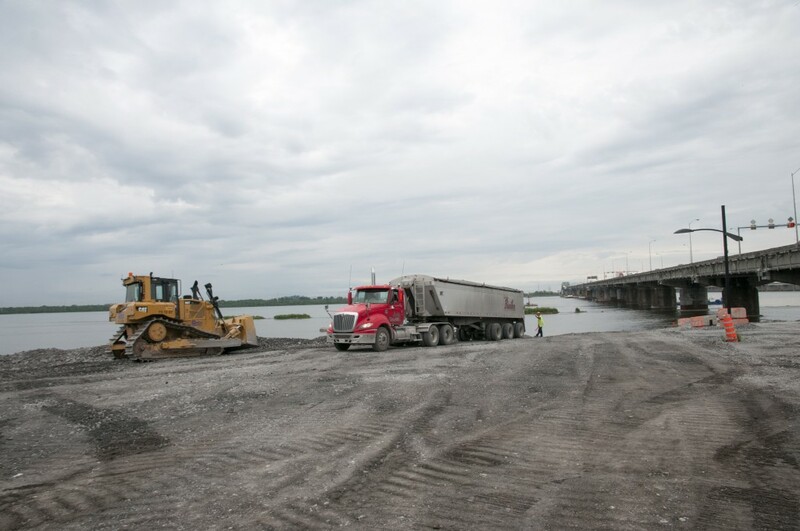 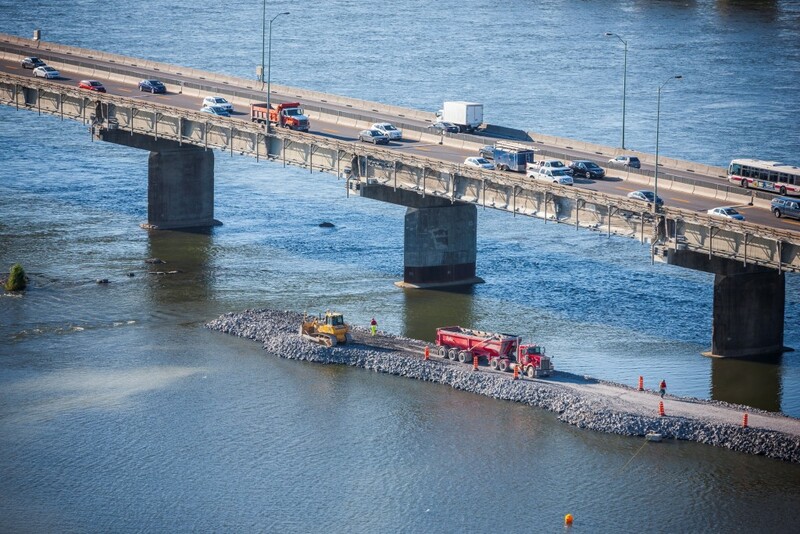 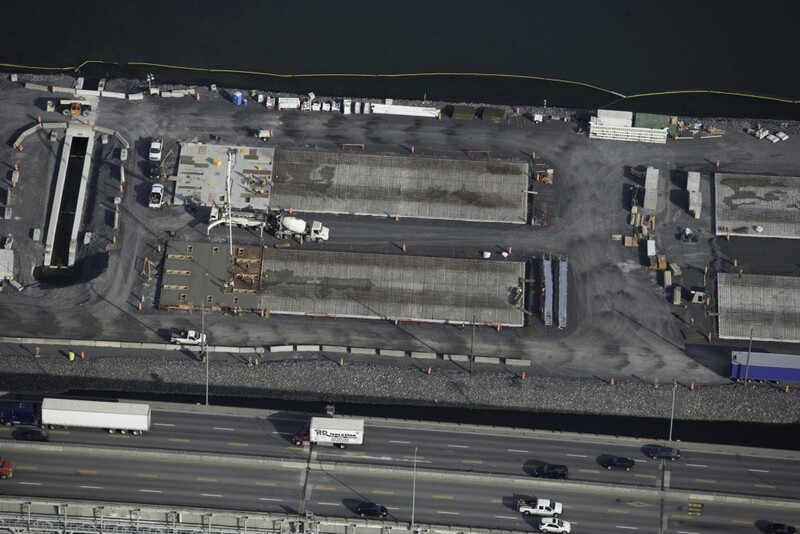 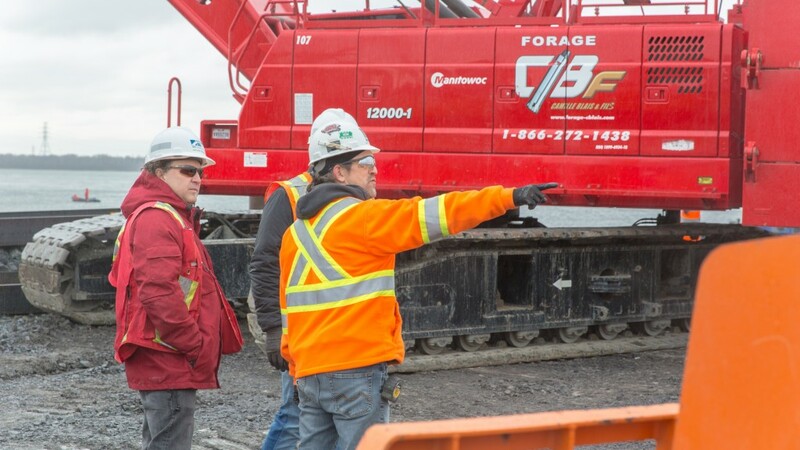 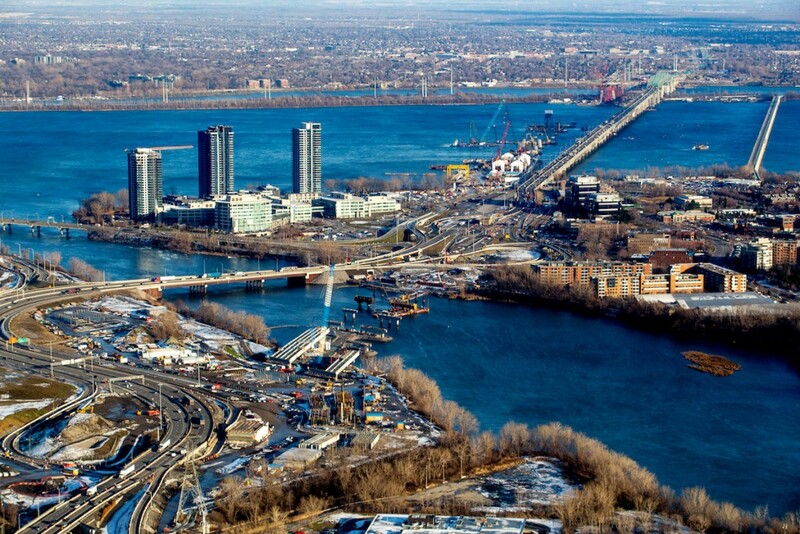 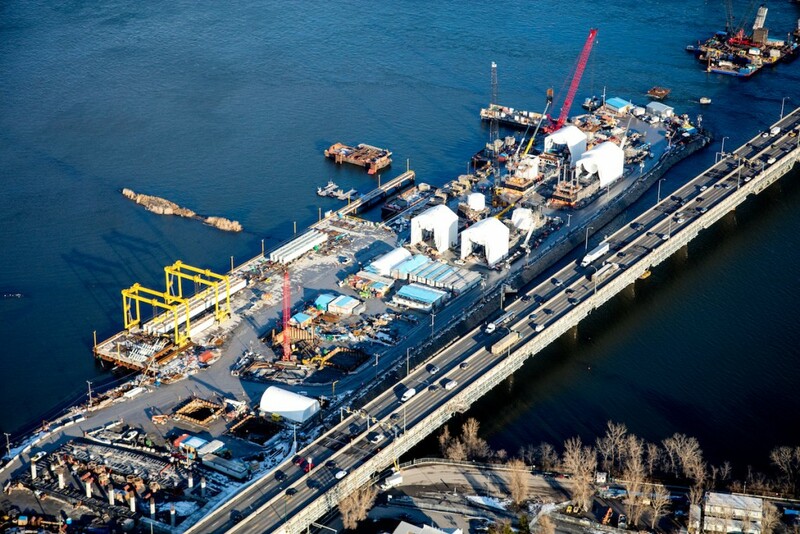 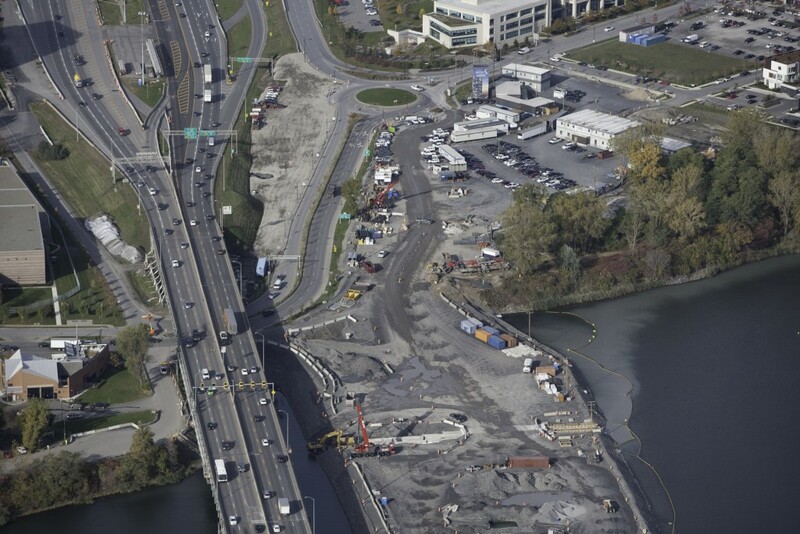 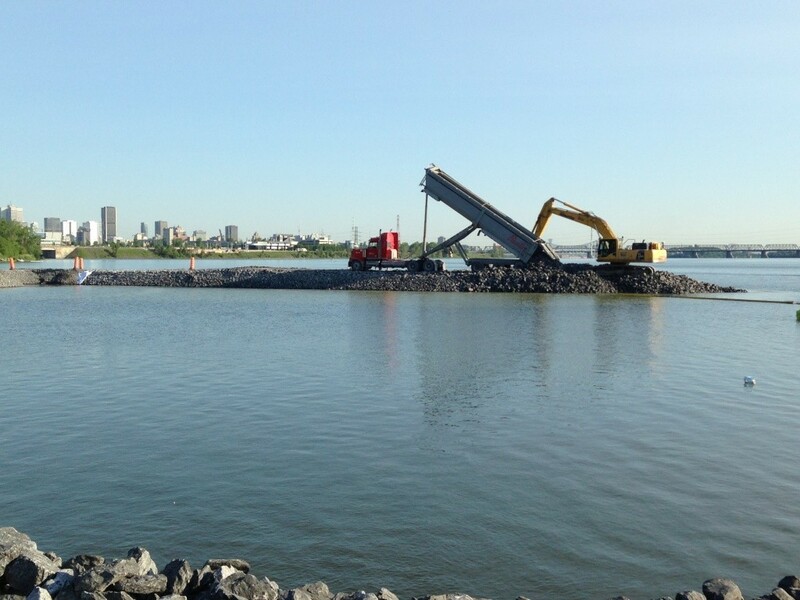 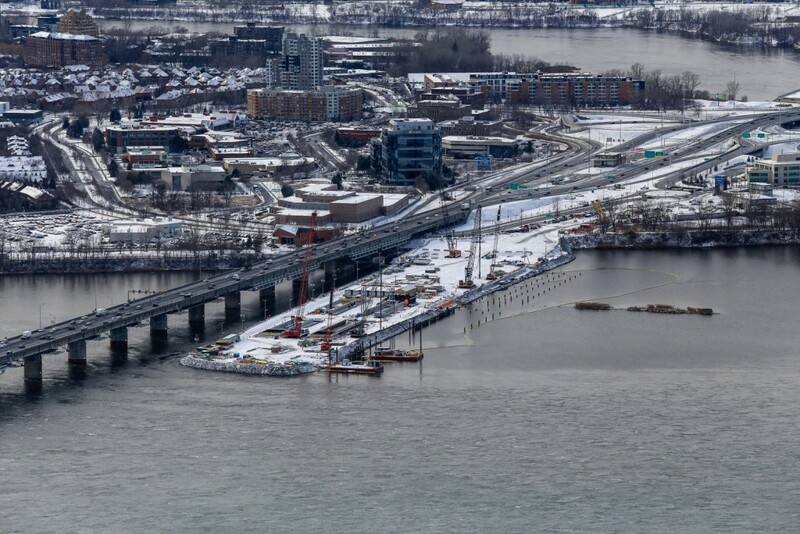 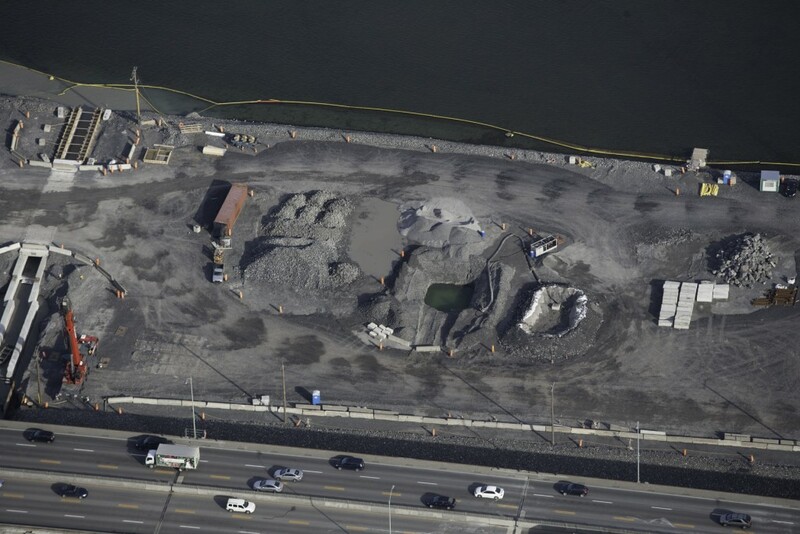 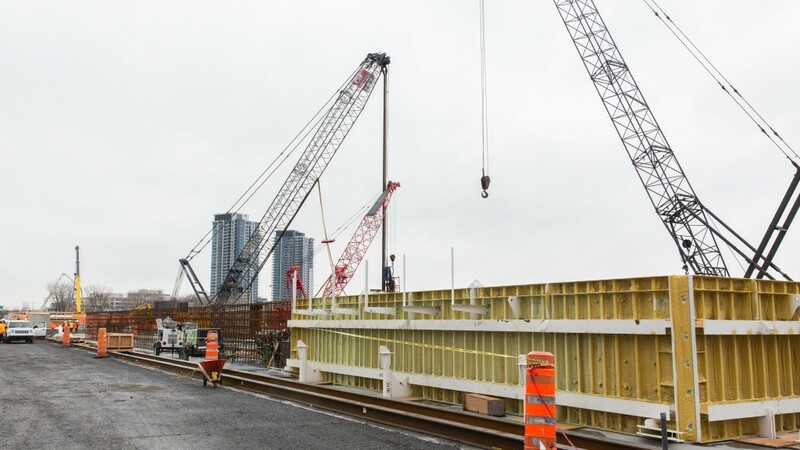 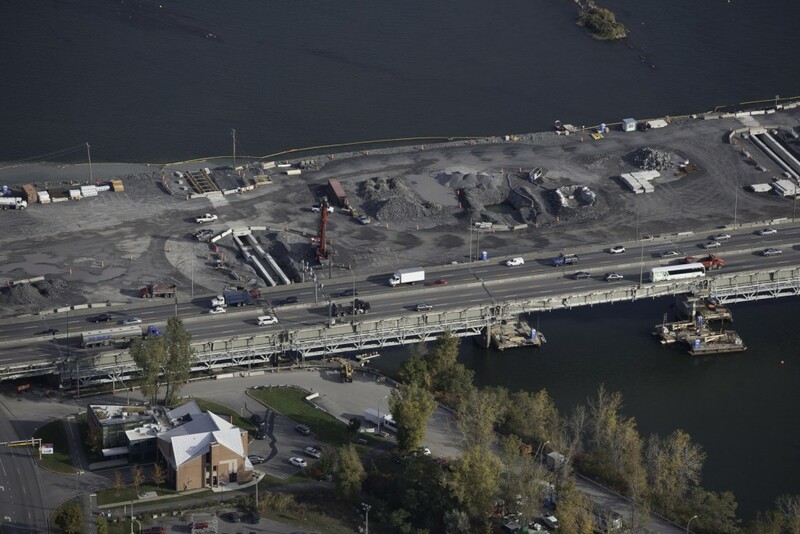 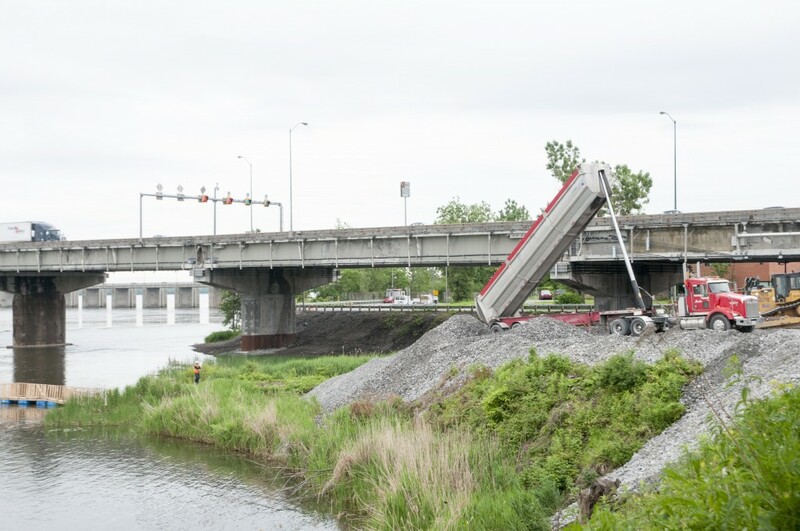 Finally enables “dry bed” construction of the western portion of the new Champlain Bridge.